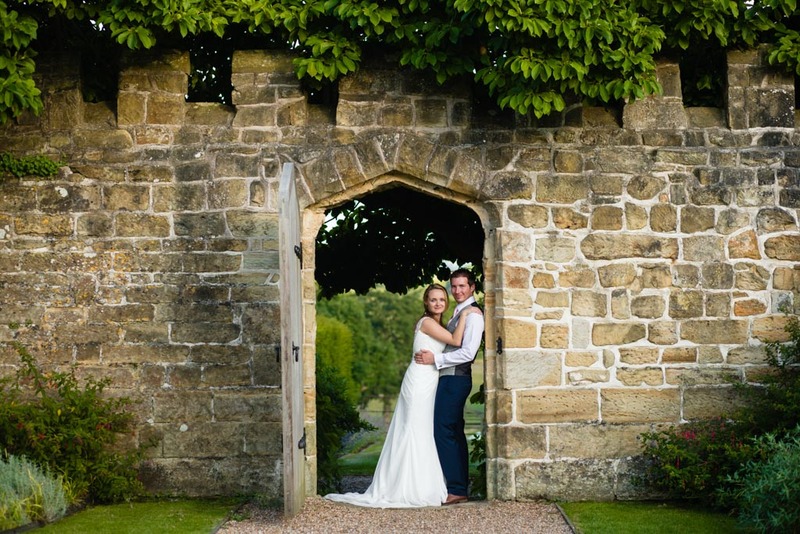 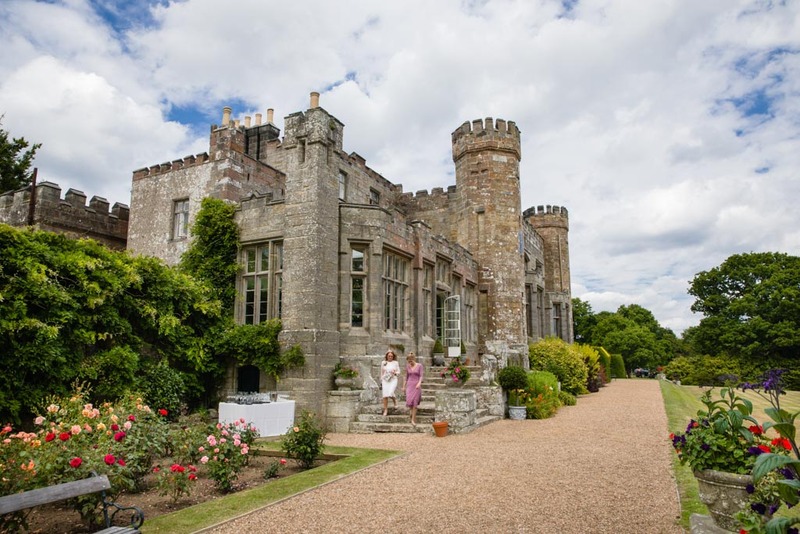 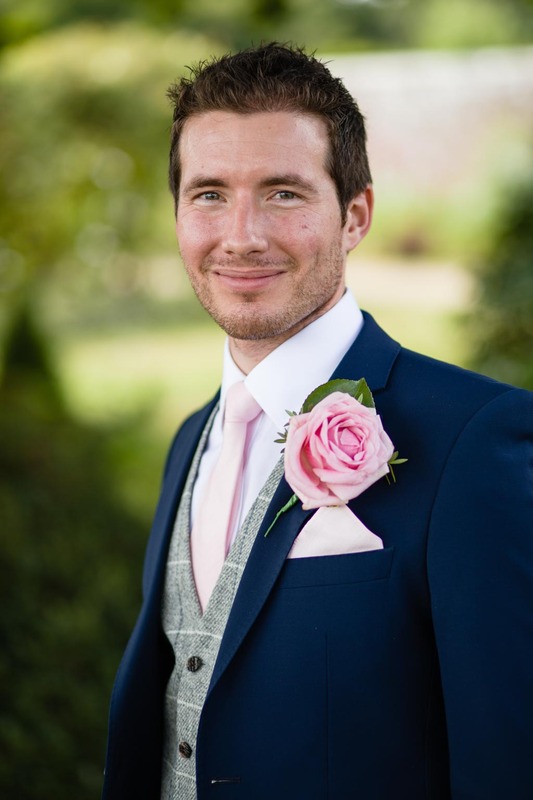 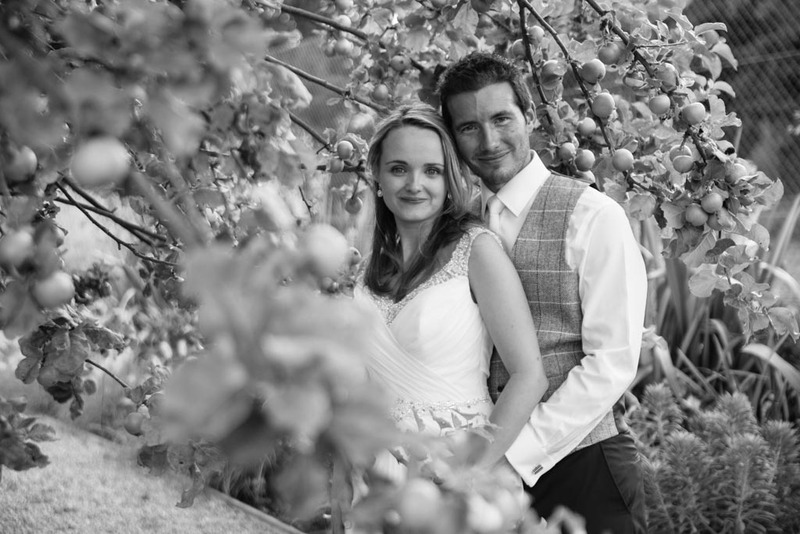 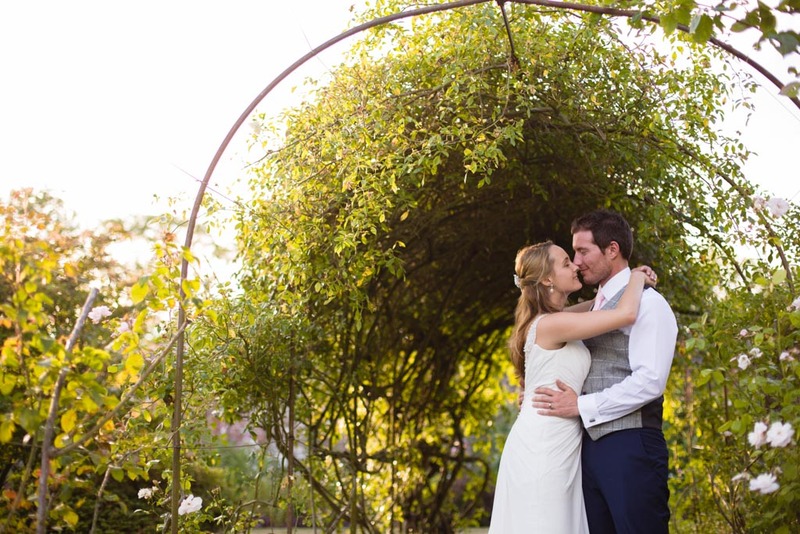 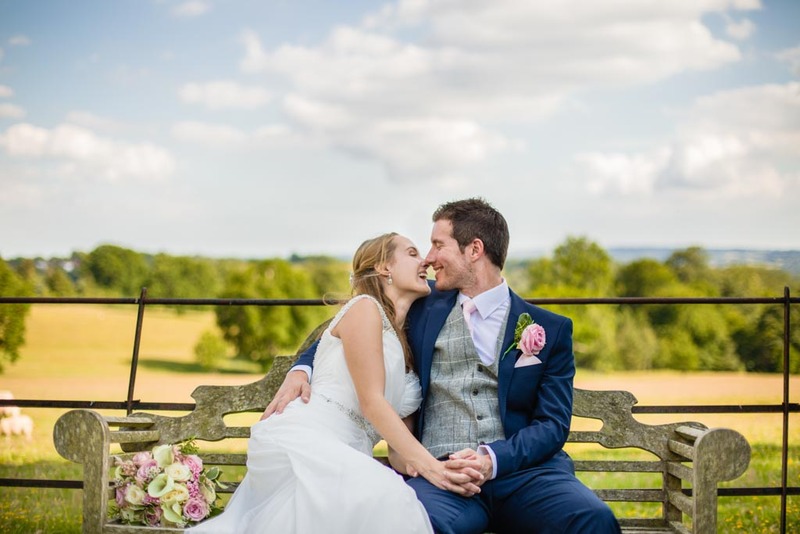 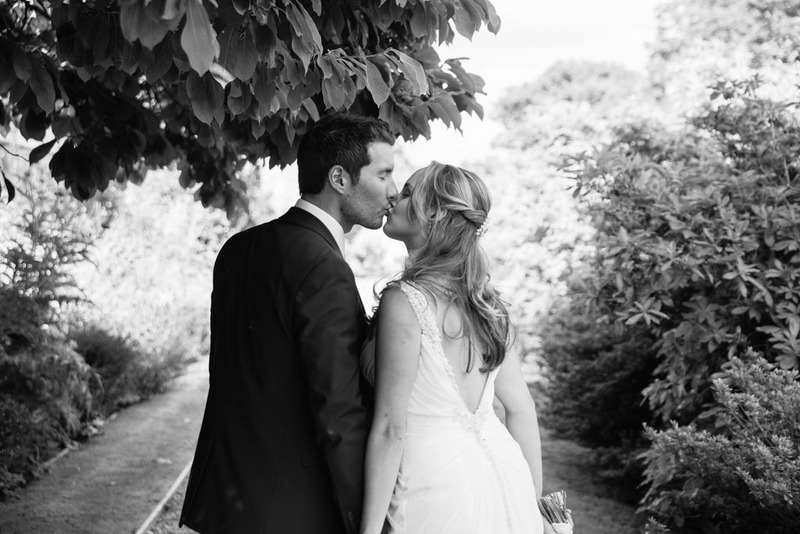 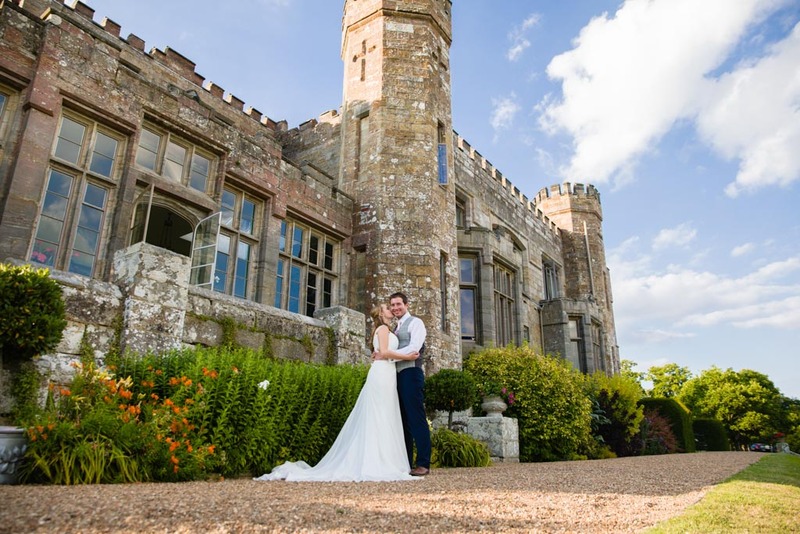 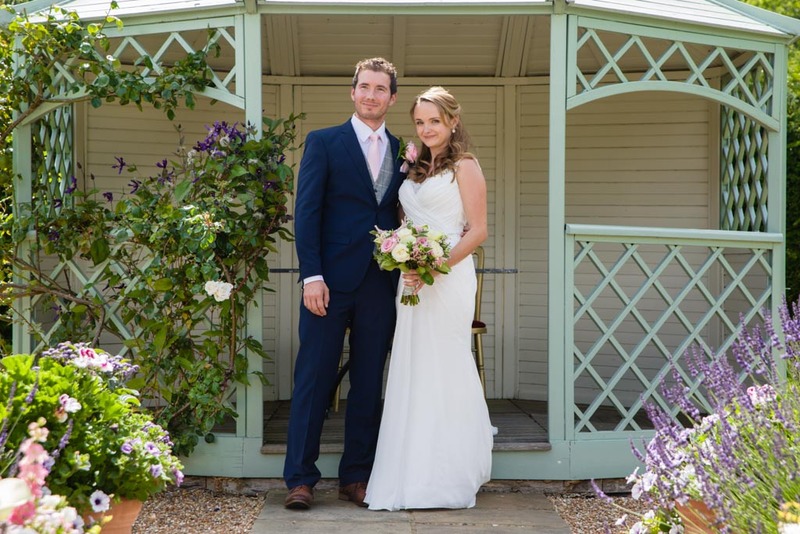 Sophie and Joe couldn’t have picked a more beautiful summer’s day for their wedding at Wadhurst Castle. 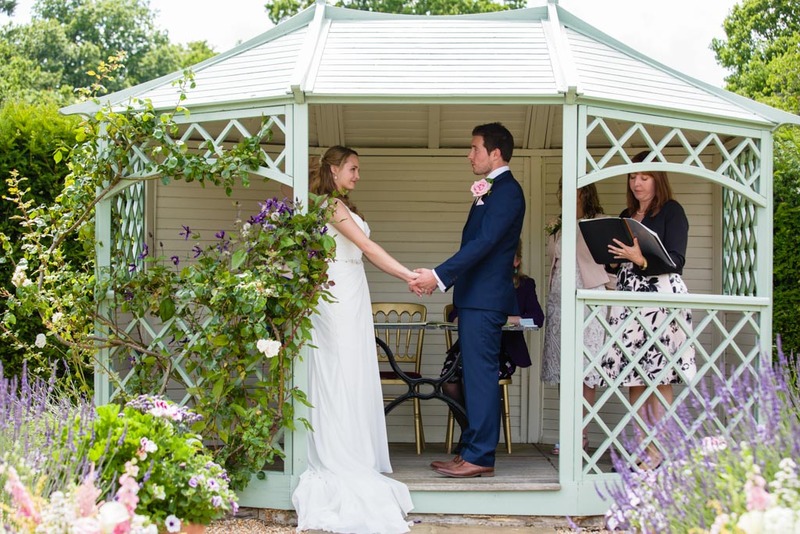 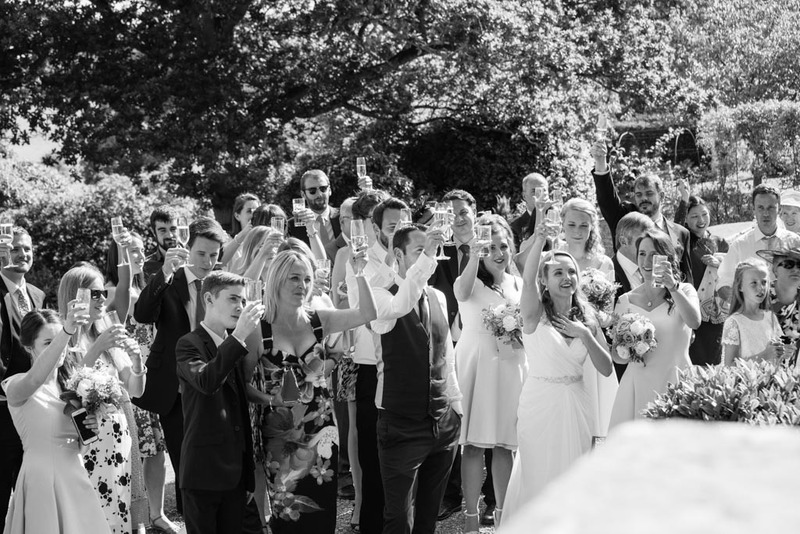 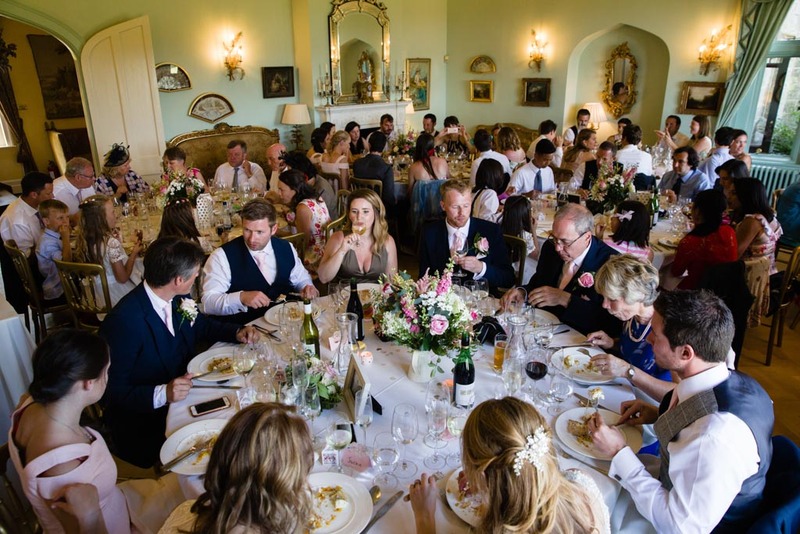 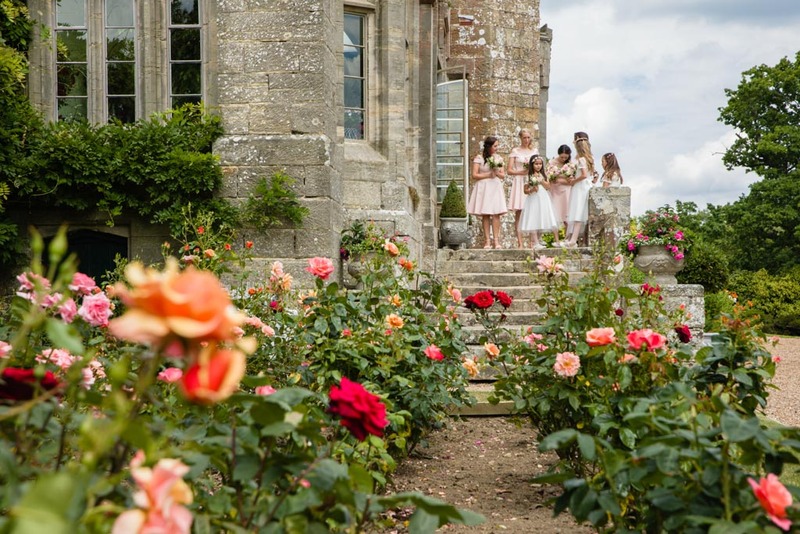 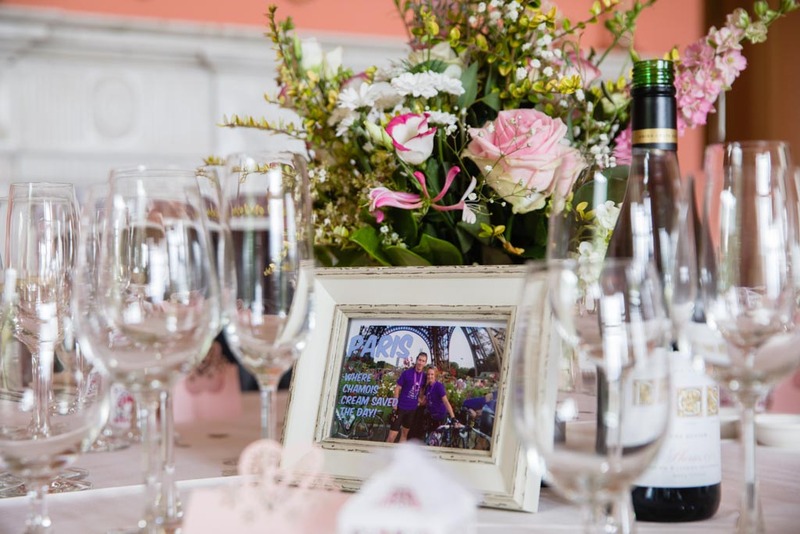 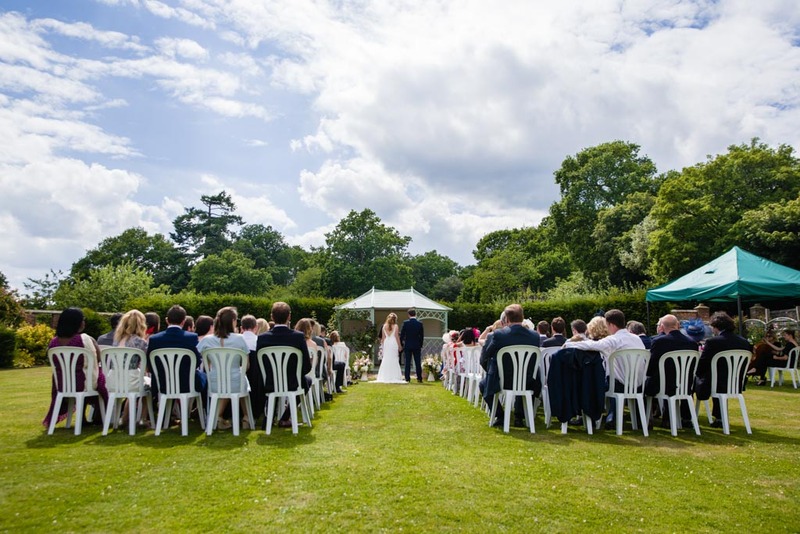 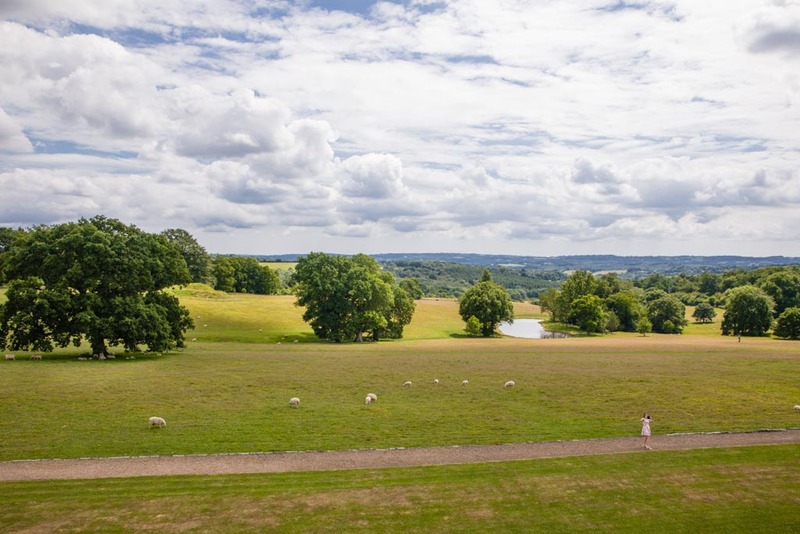 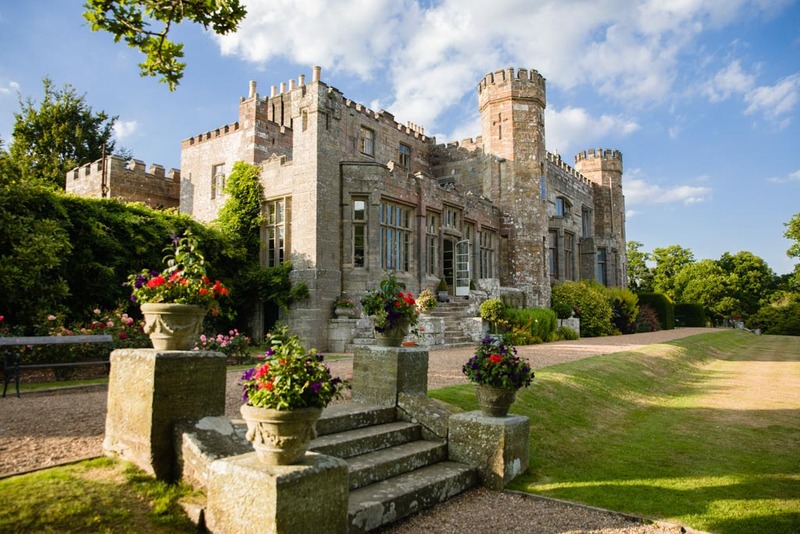 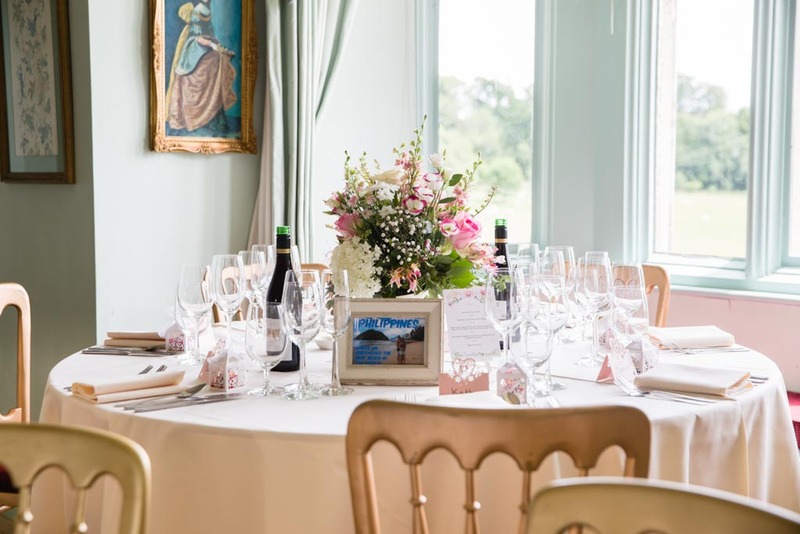 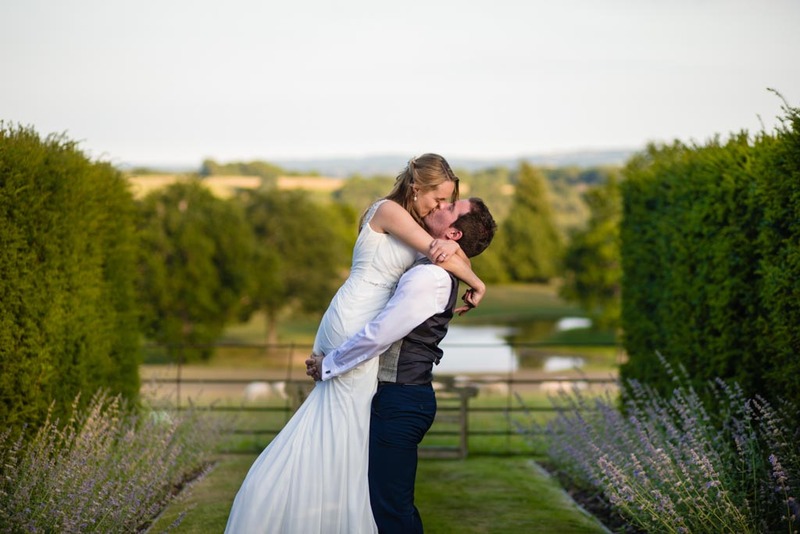 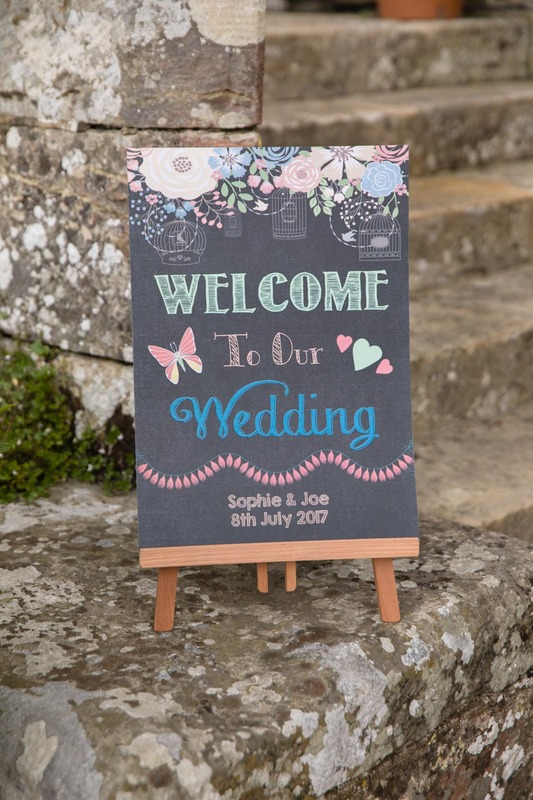 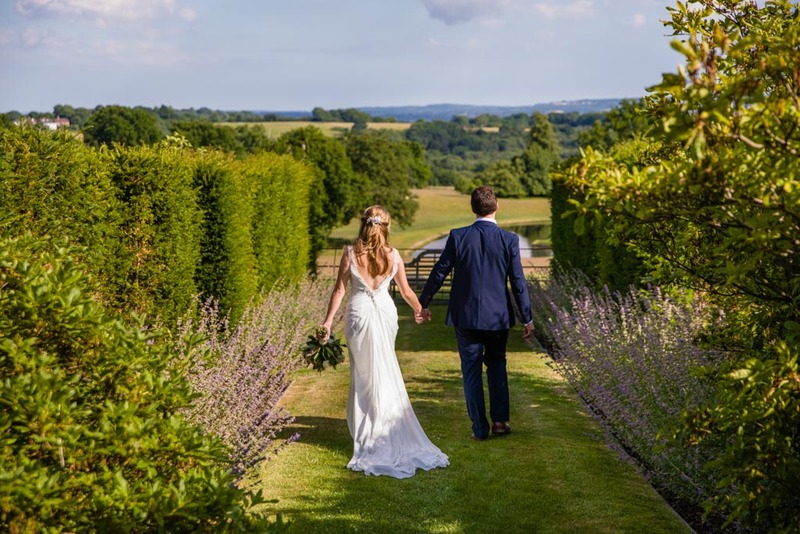 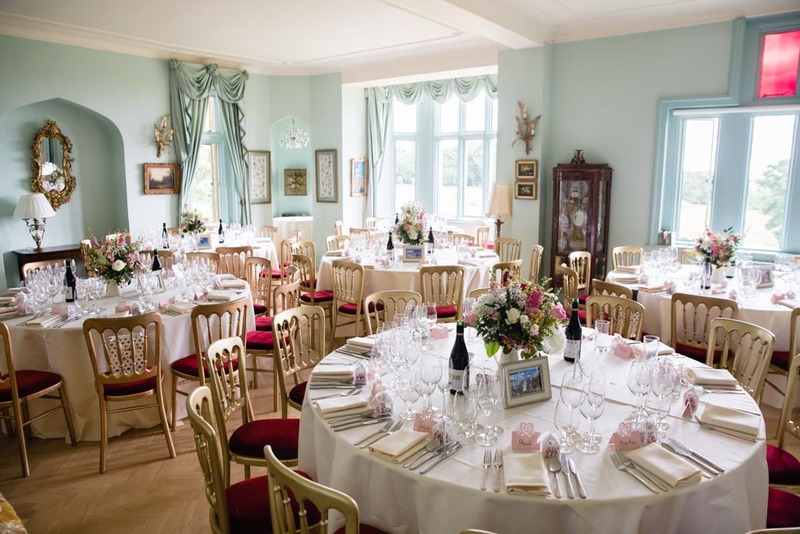 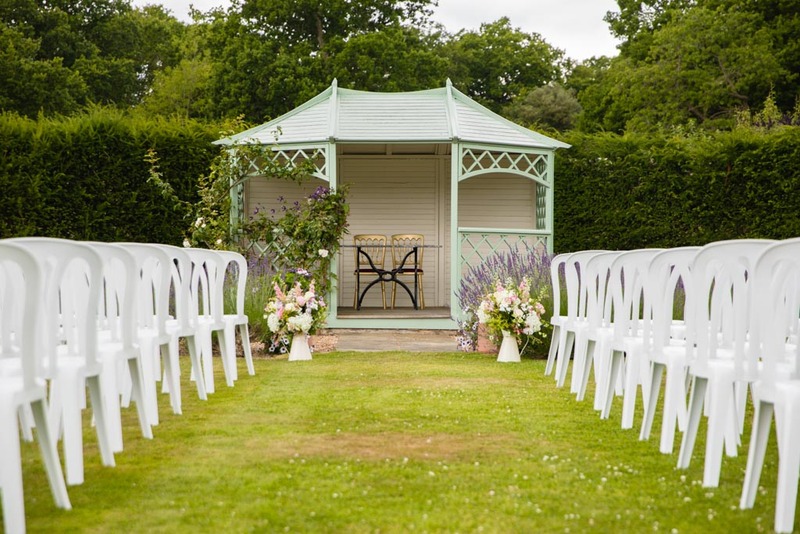 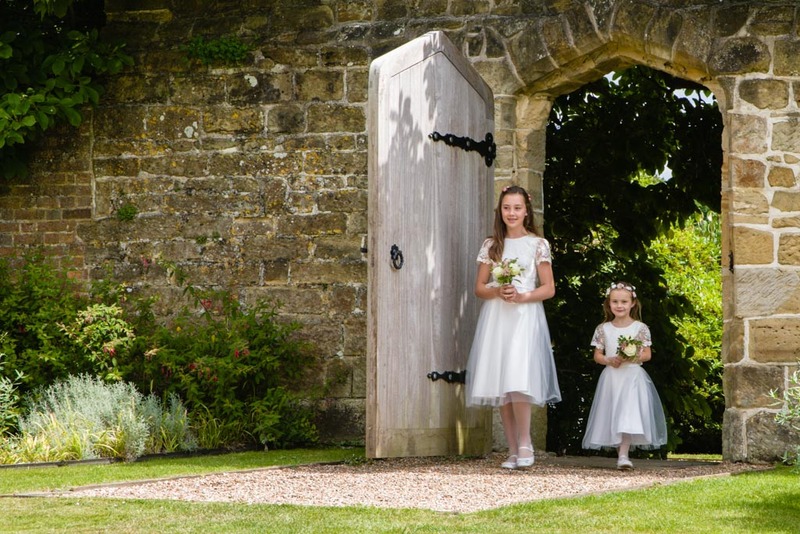 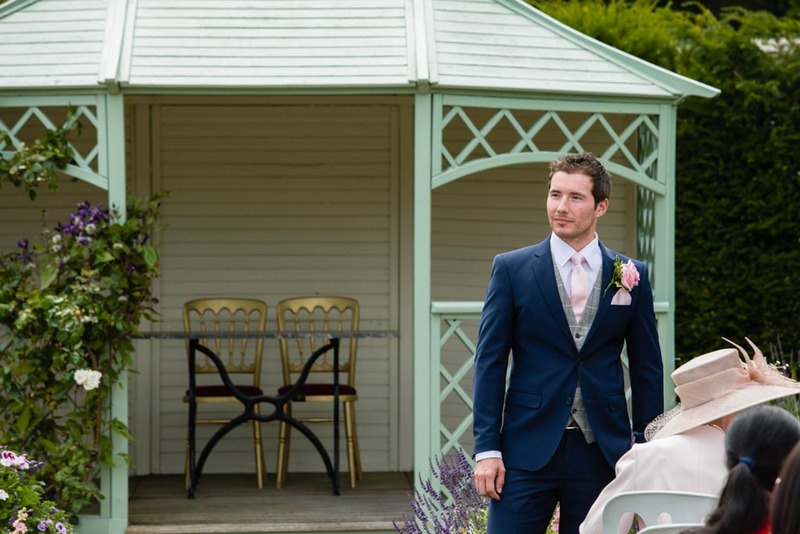 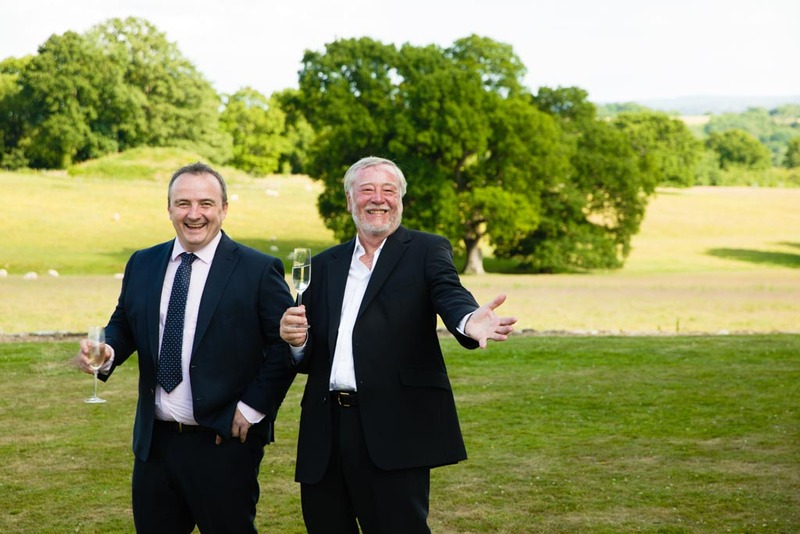 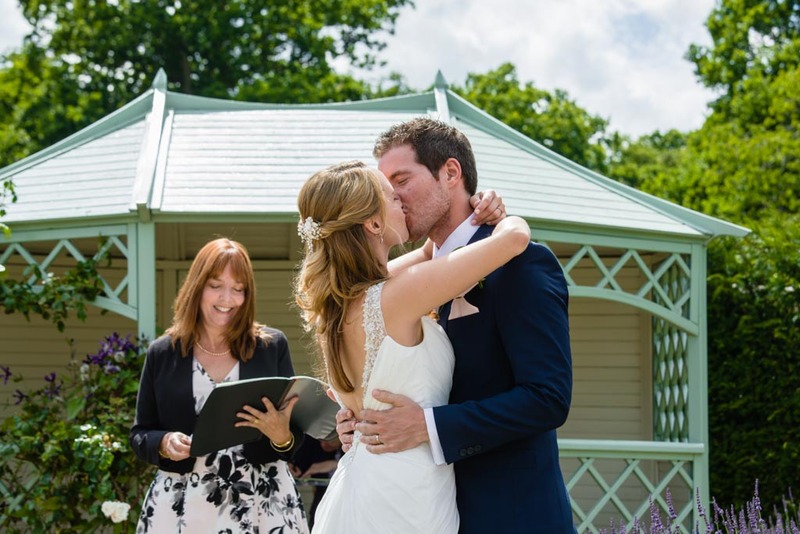 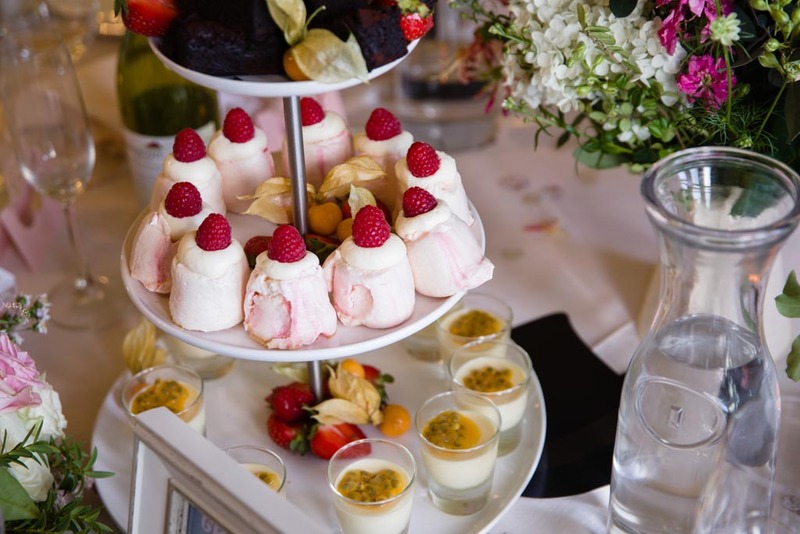 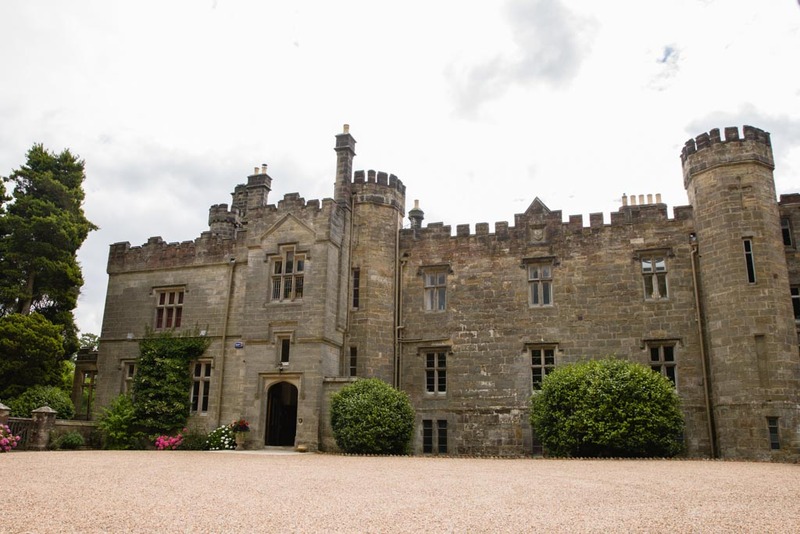 This gorgeous exclusive venue is nestled in the borders of Kent and Sussex and has the most gorgeous views, not to mention the stunning grounds and amazing team too! 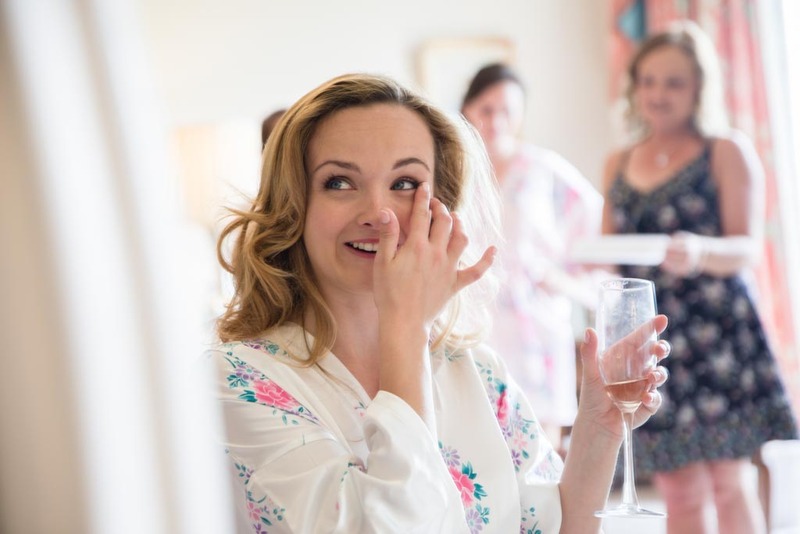 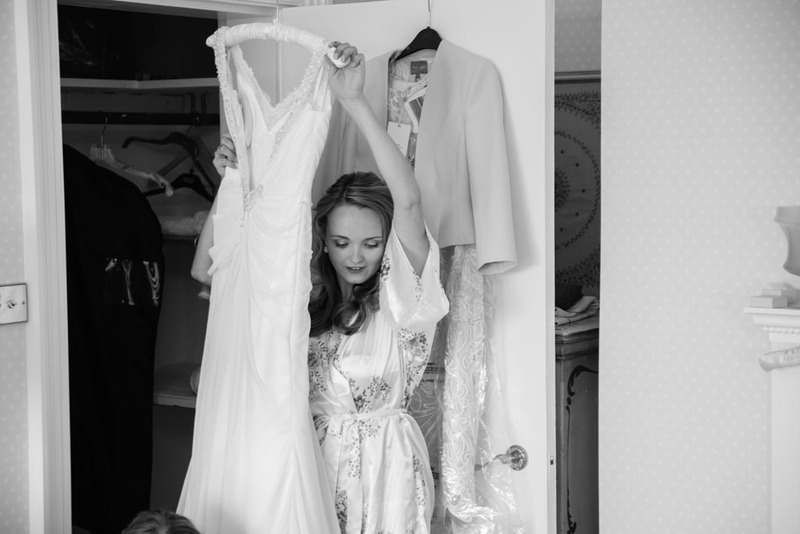 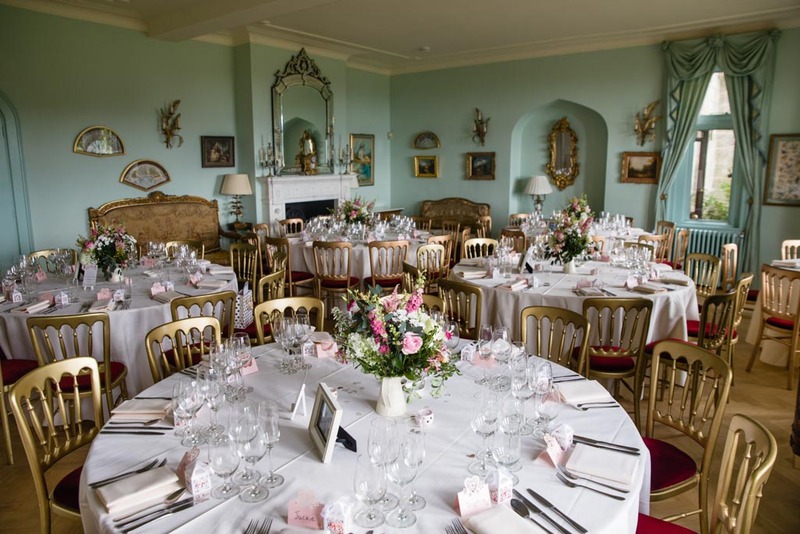 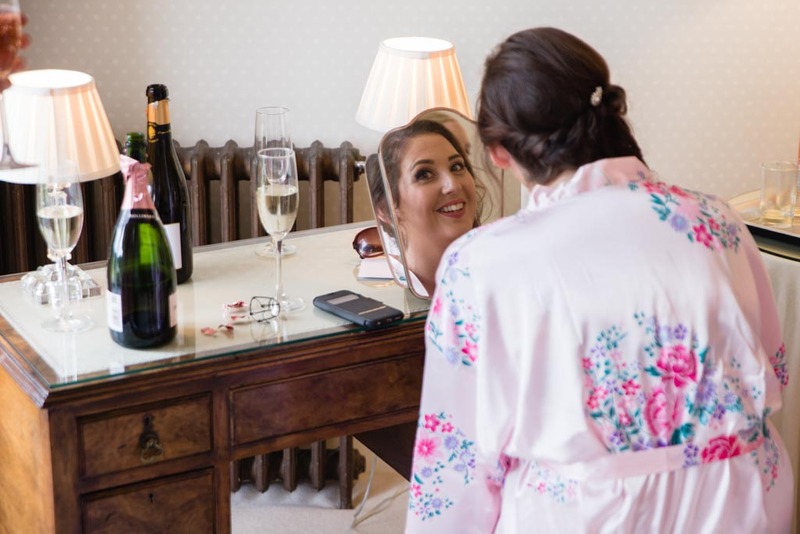 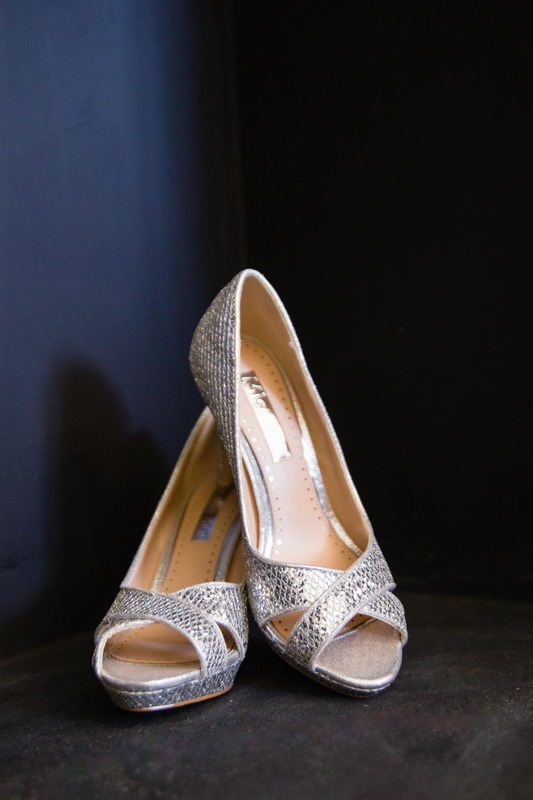 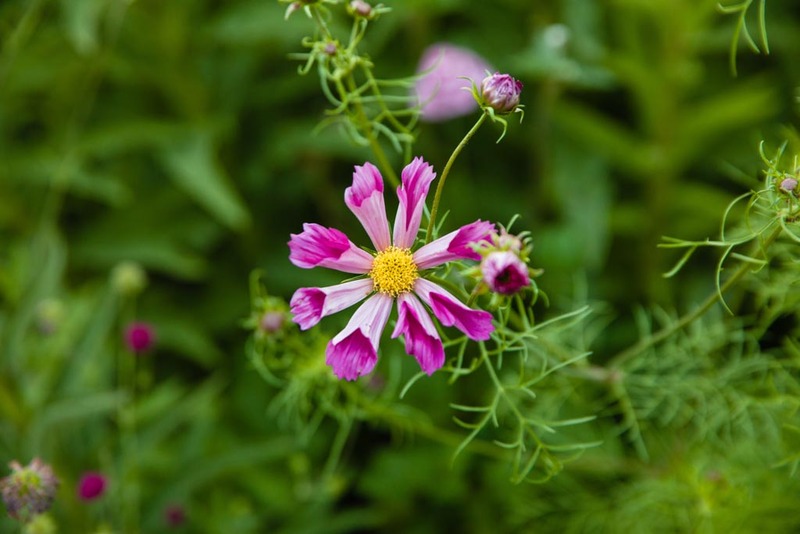 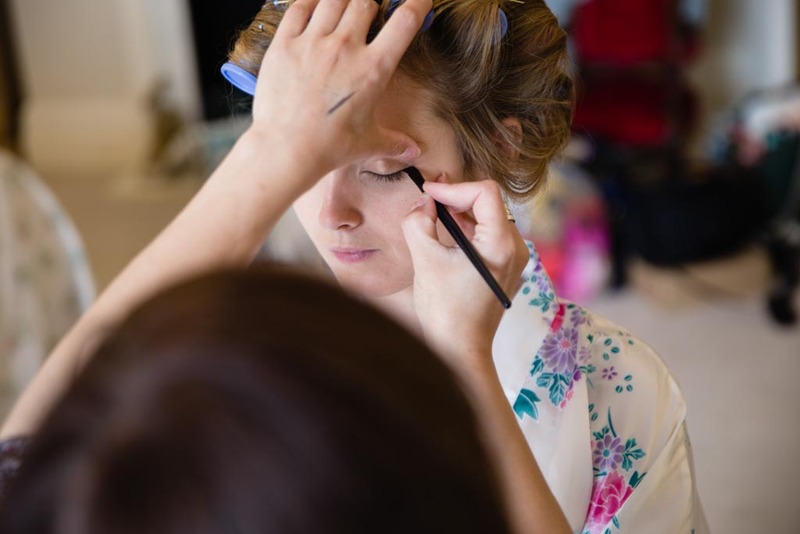 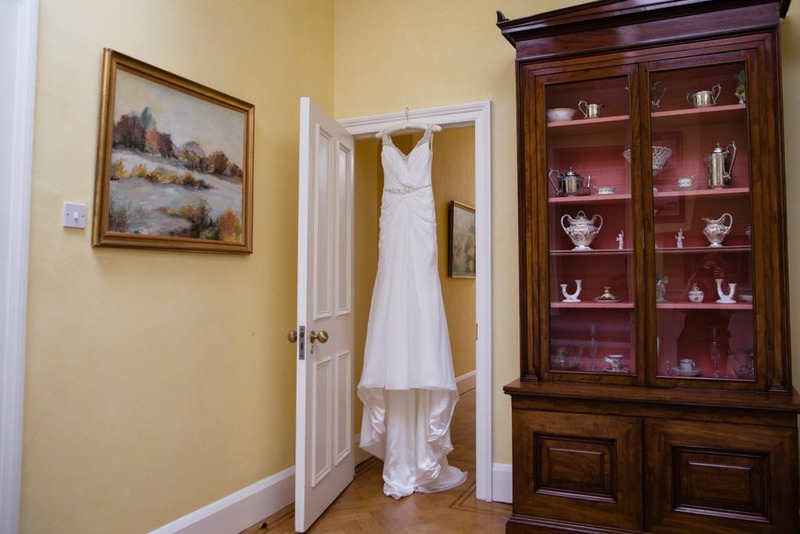 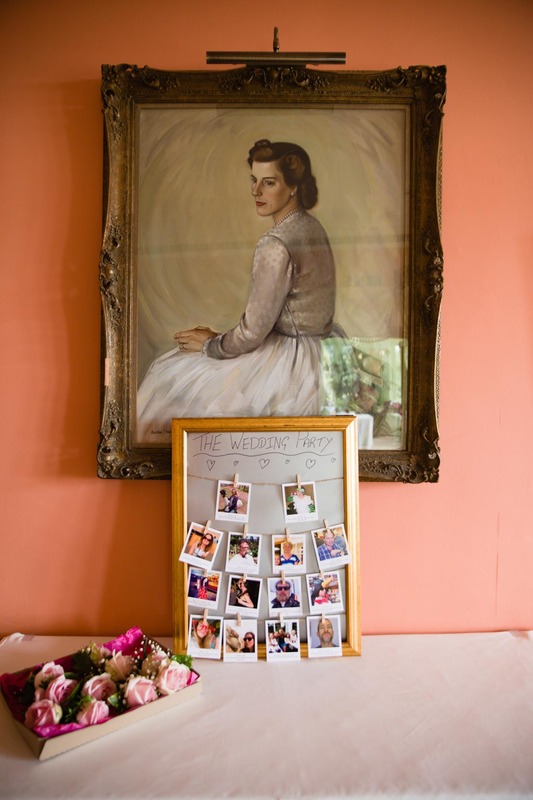 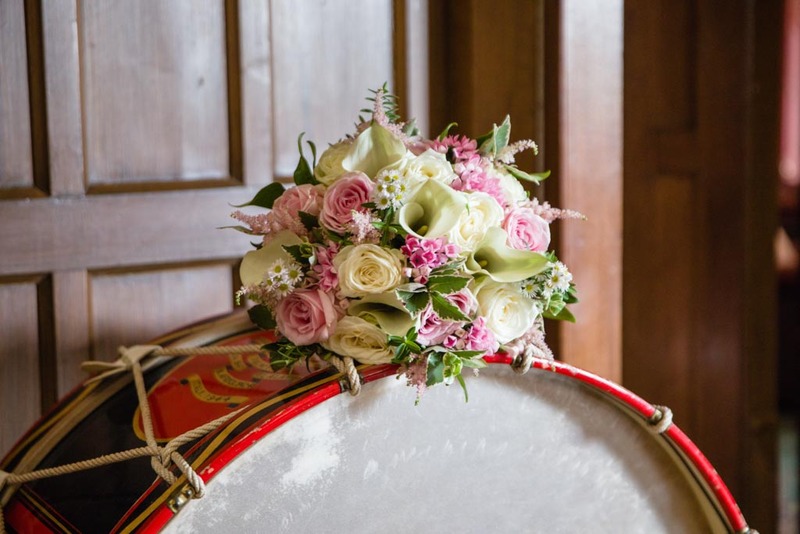 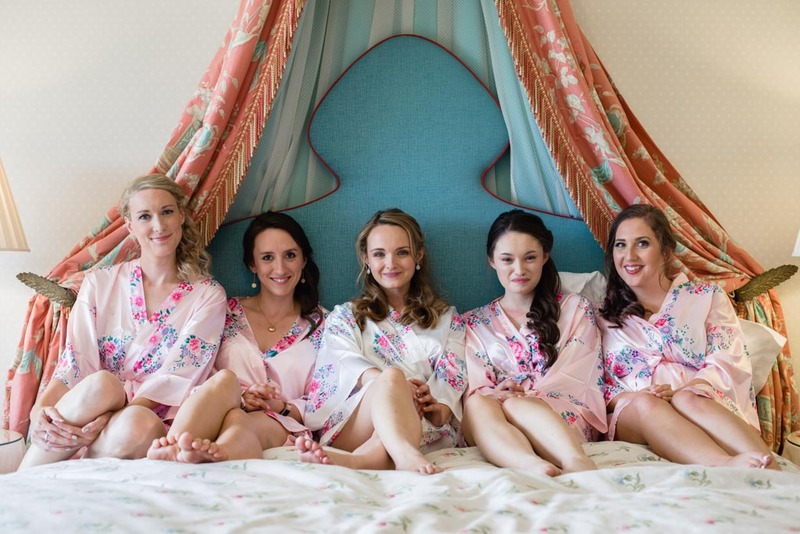 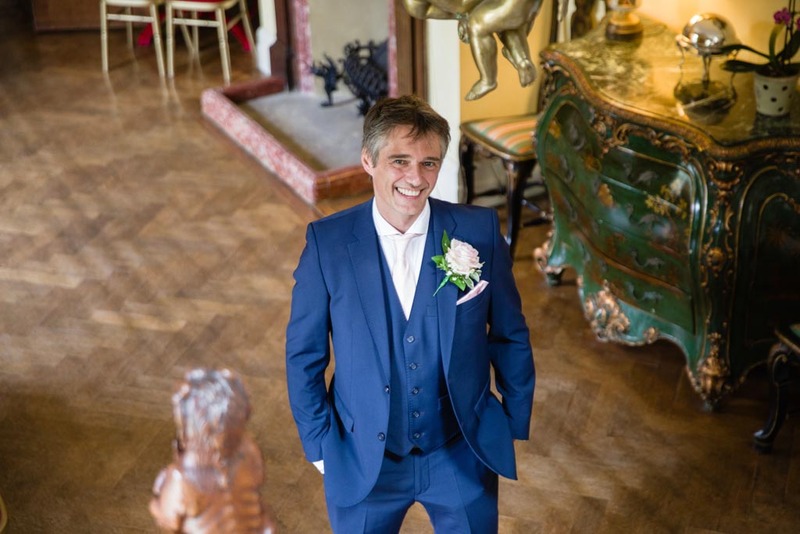 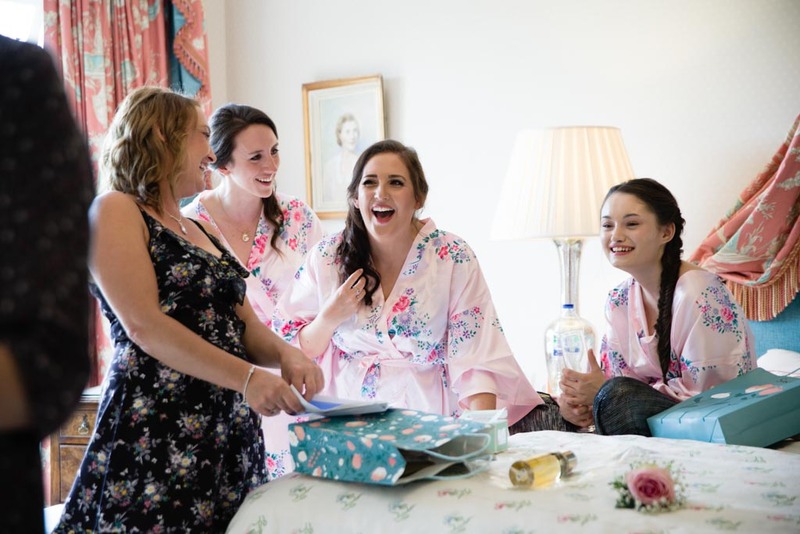 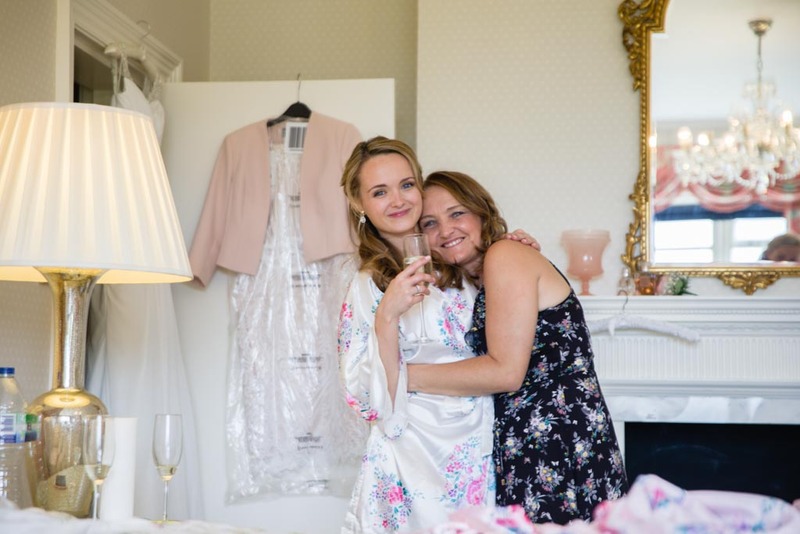 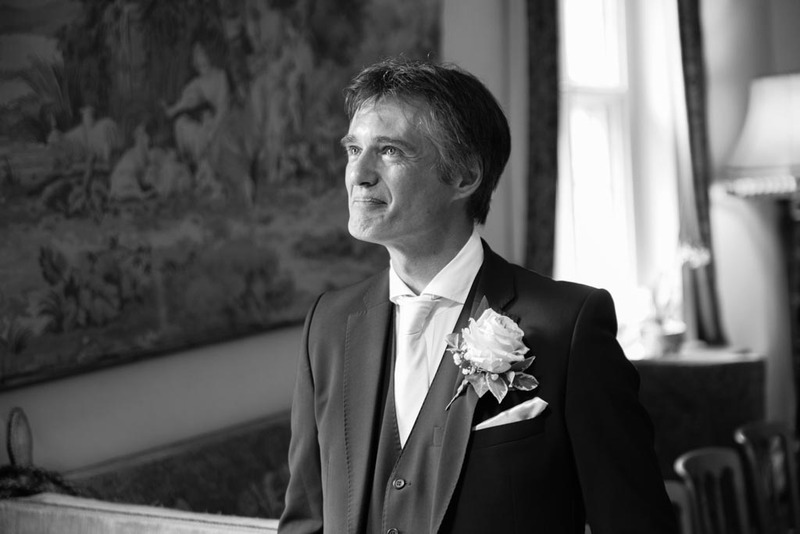 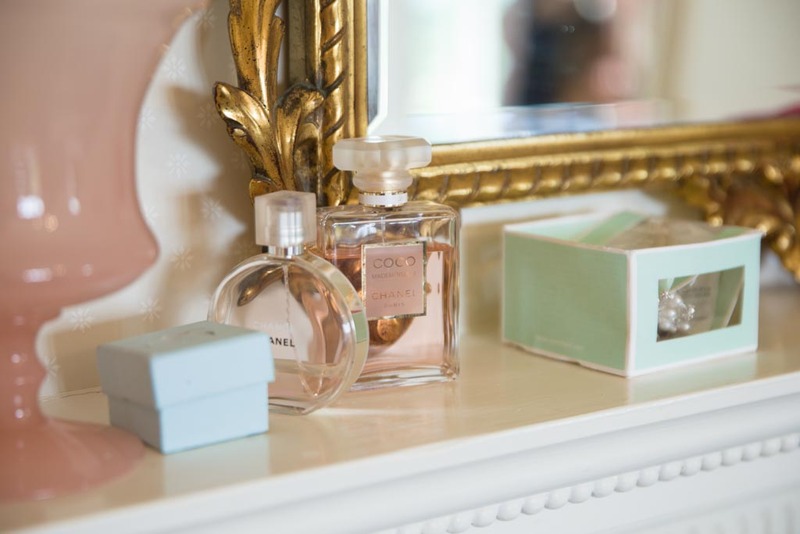 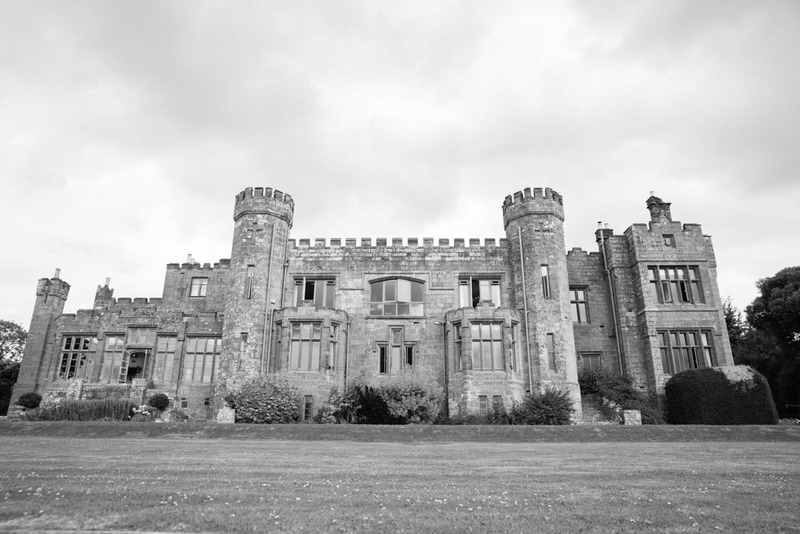 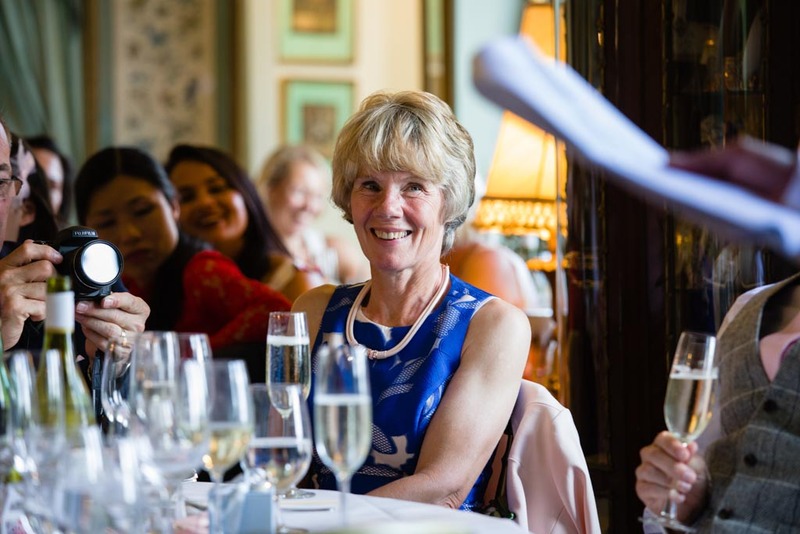 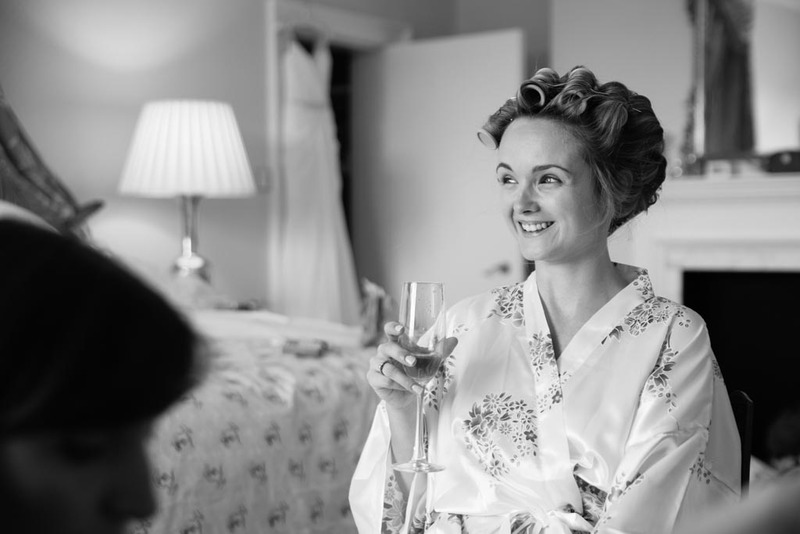 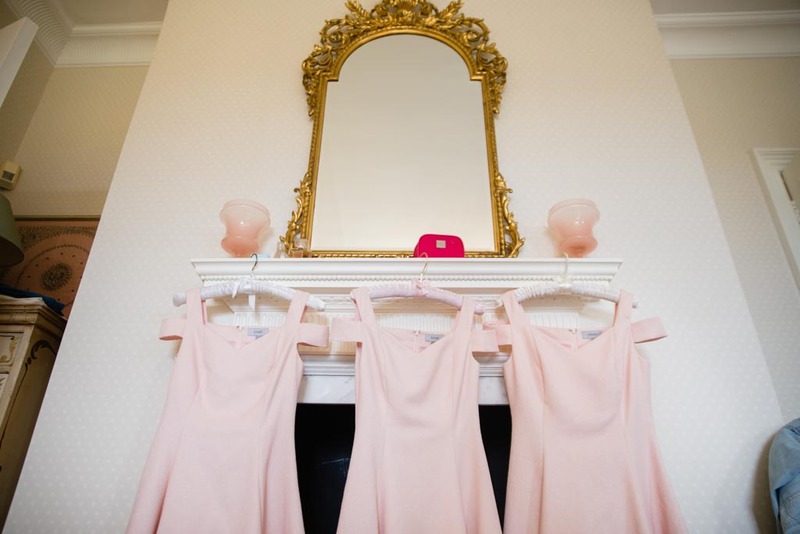 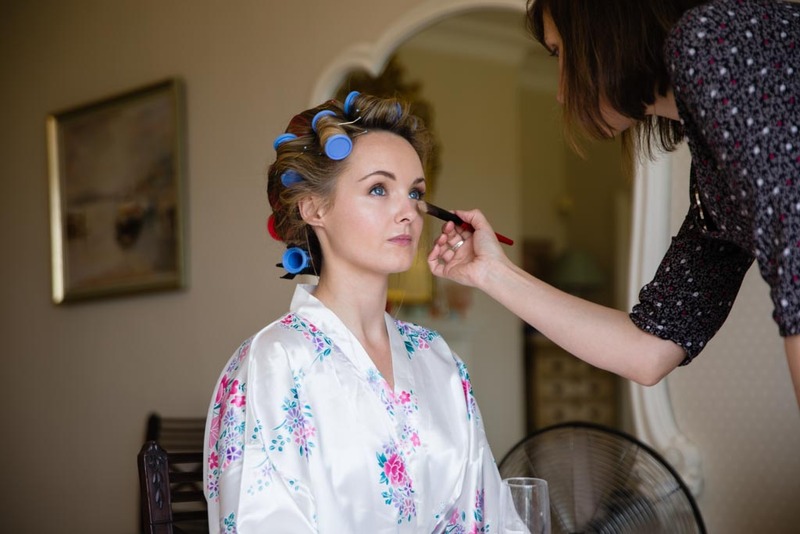 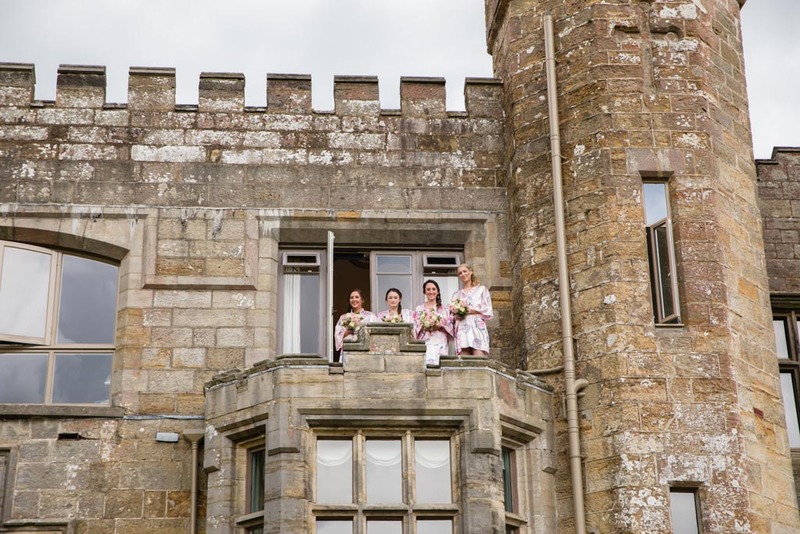 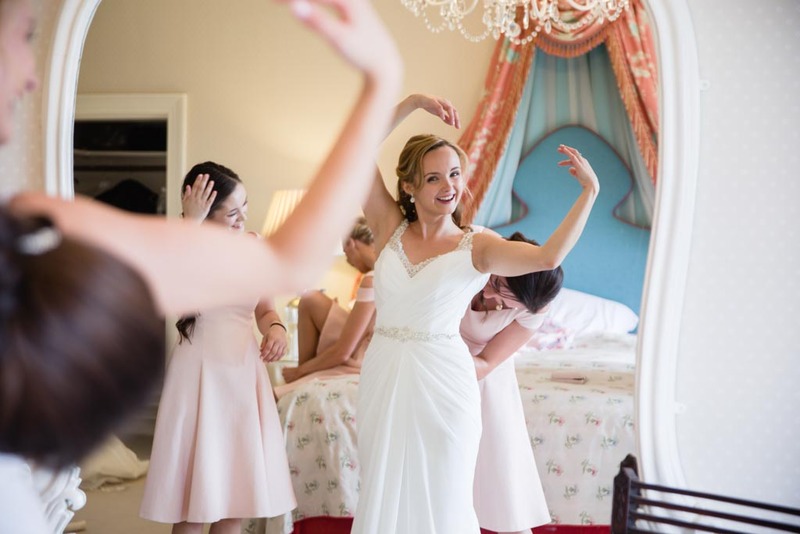 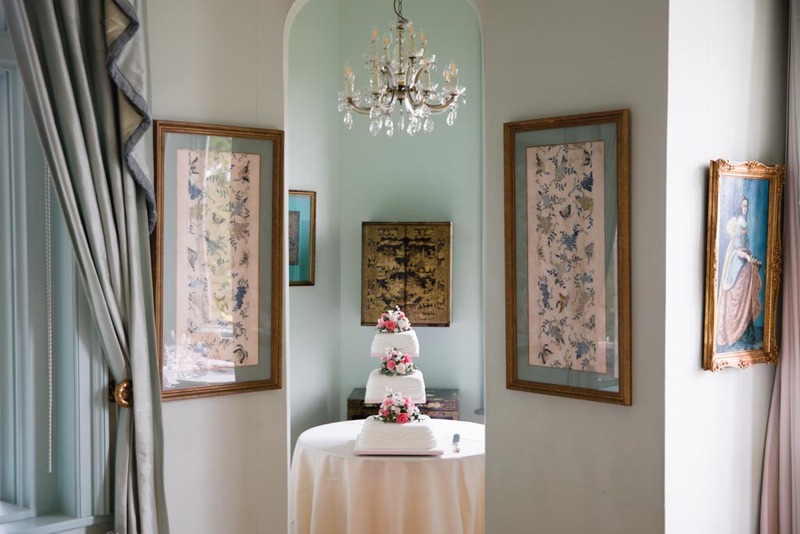 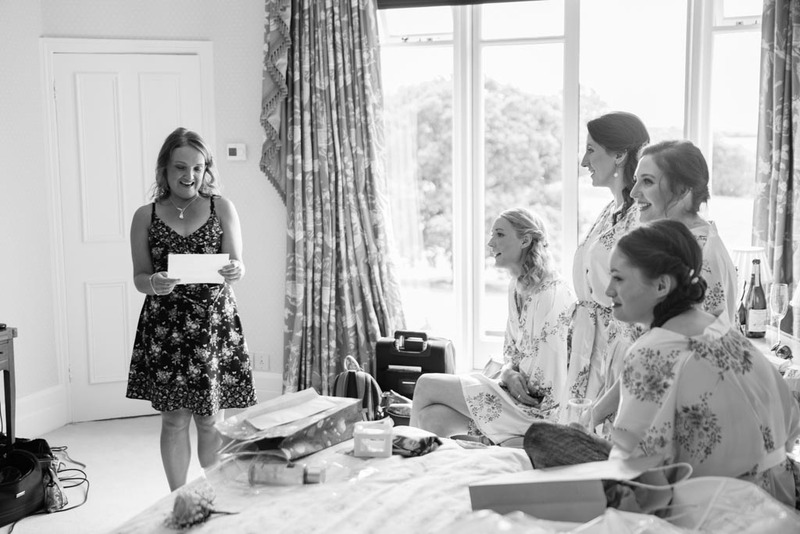 When I arrived preparations were in full swing for Sophie and her bridal party as they supped at champagne in matching floral robes and wondered about the castle’s rooms to ensure everything was ready. 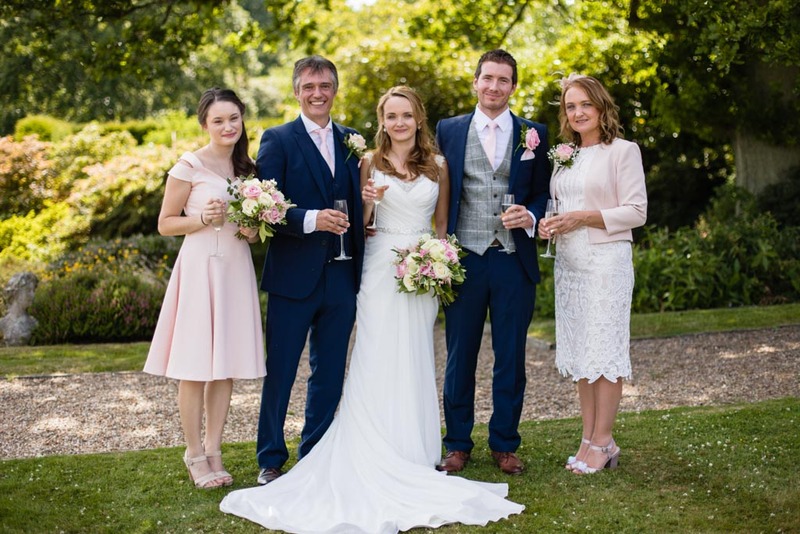 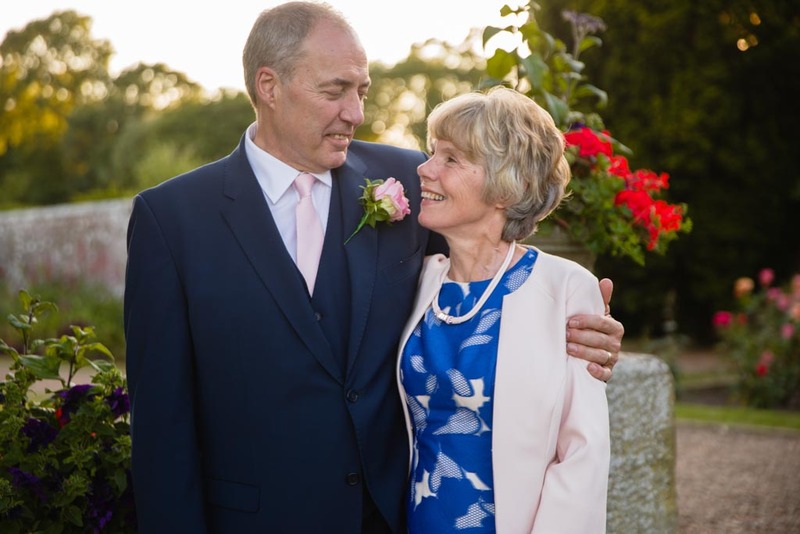 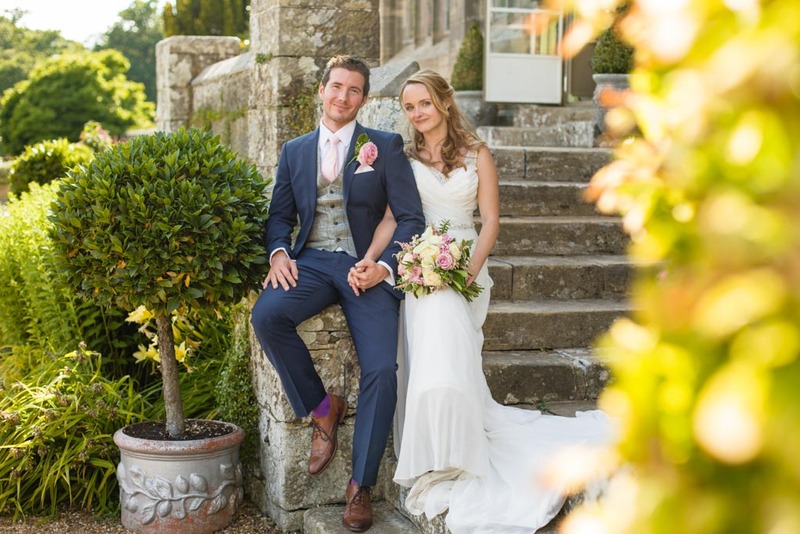 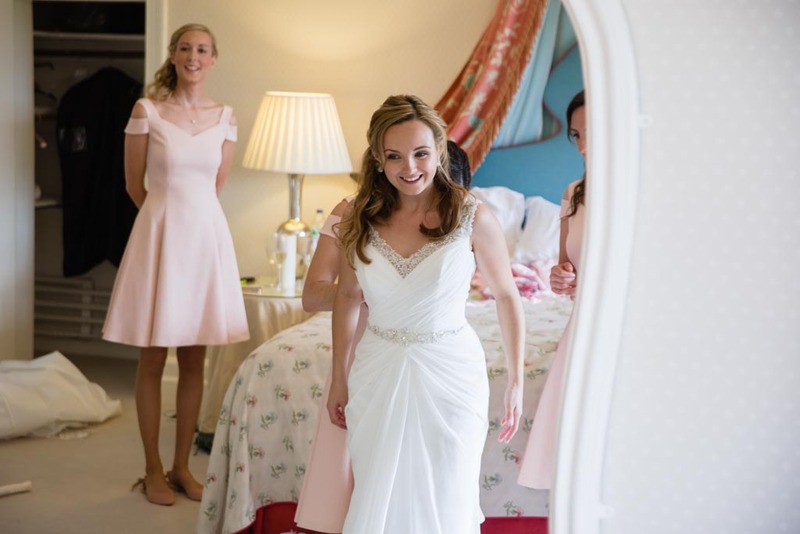 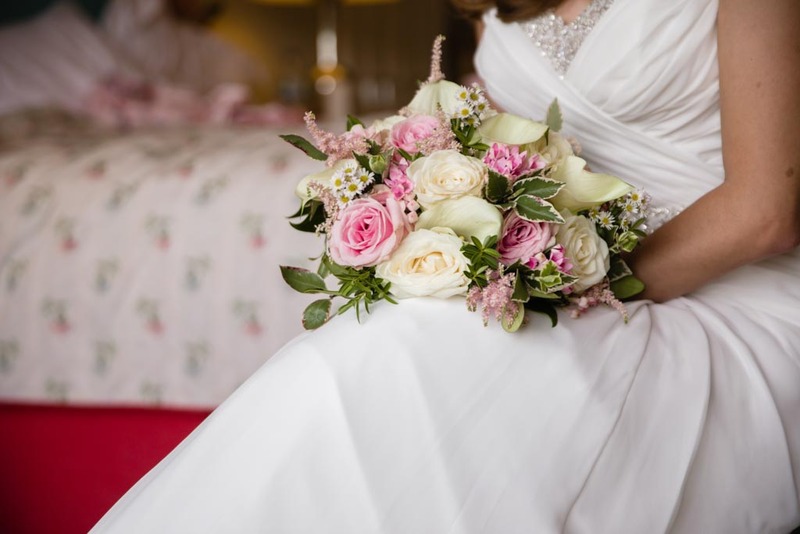 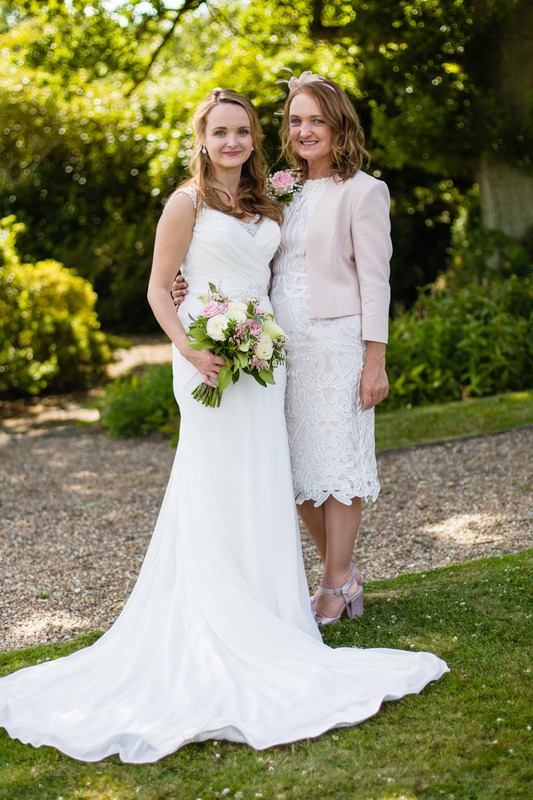 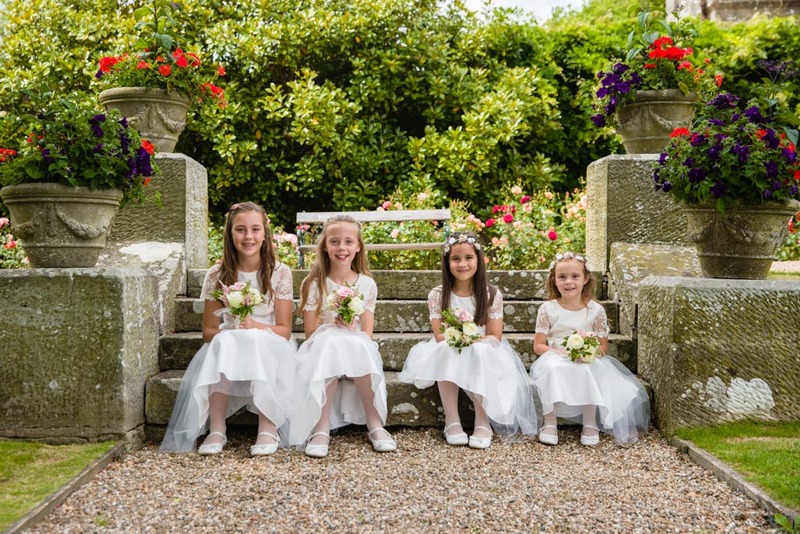 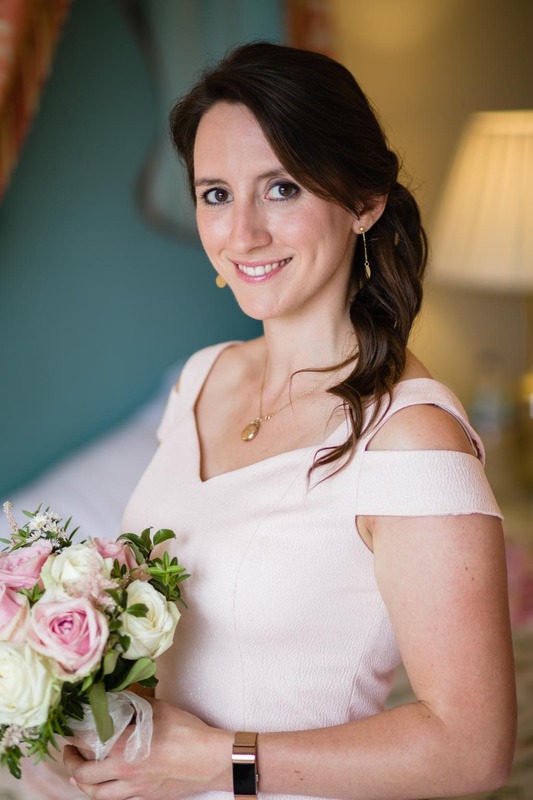 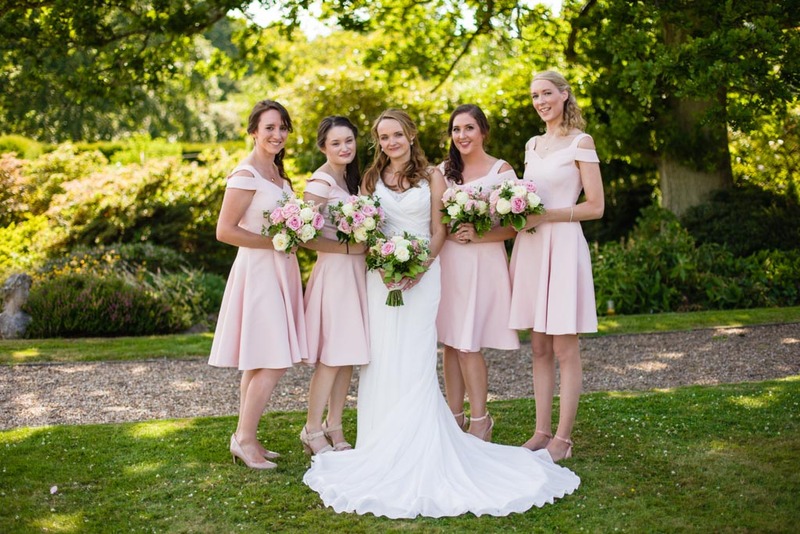 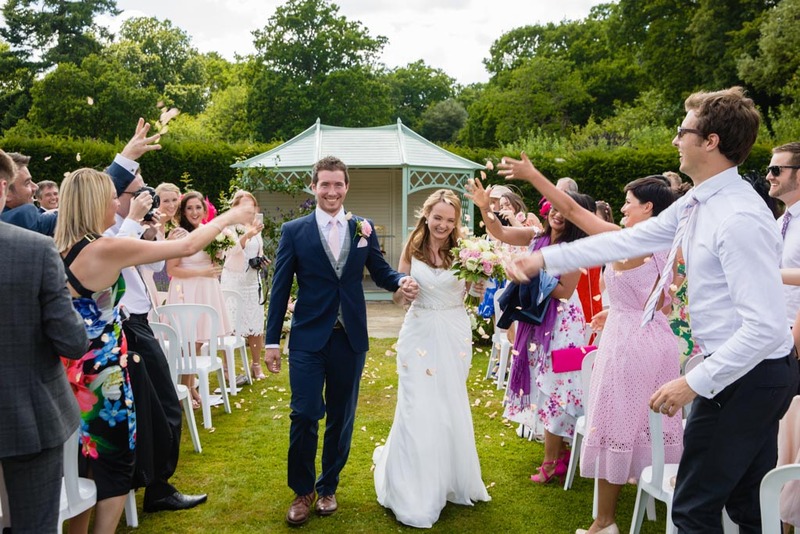 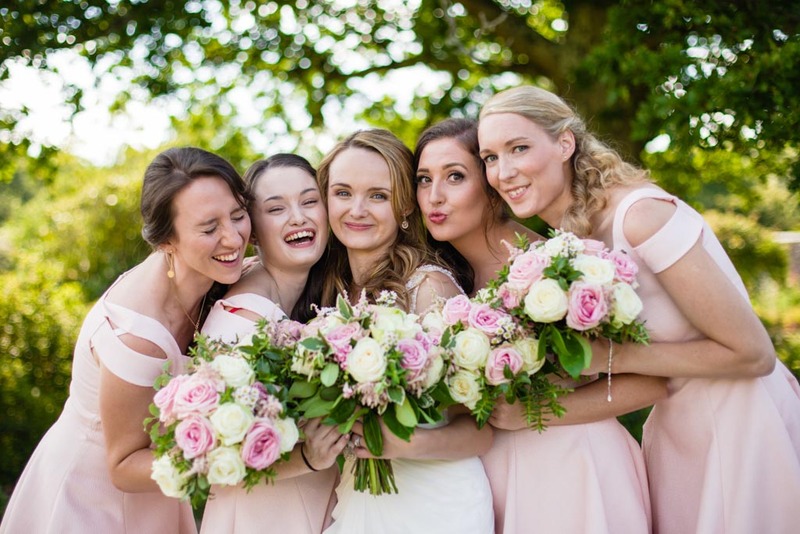 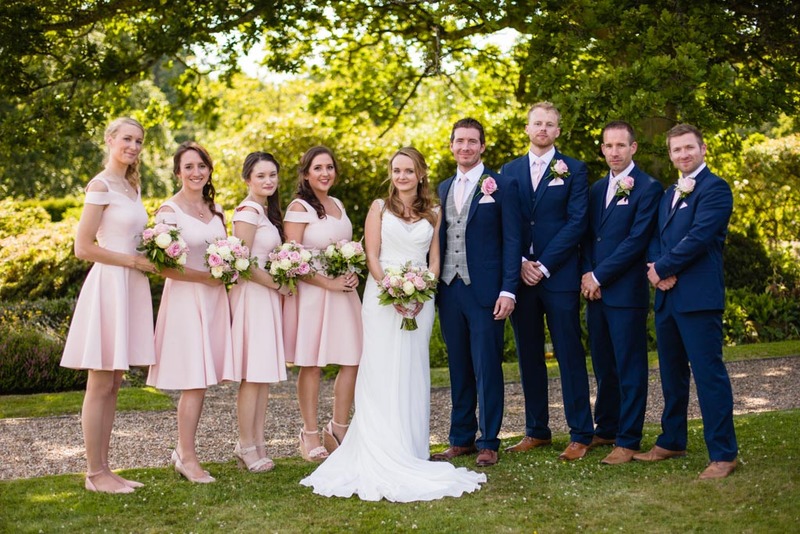 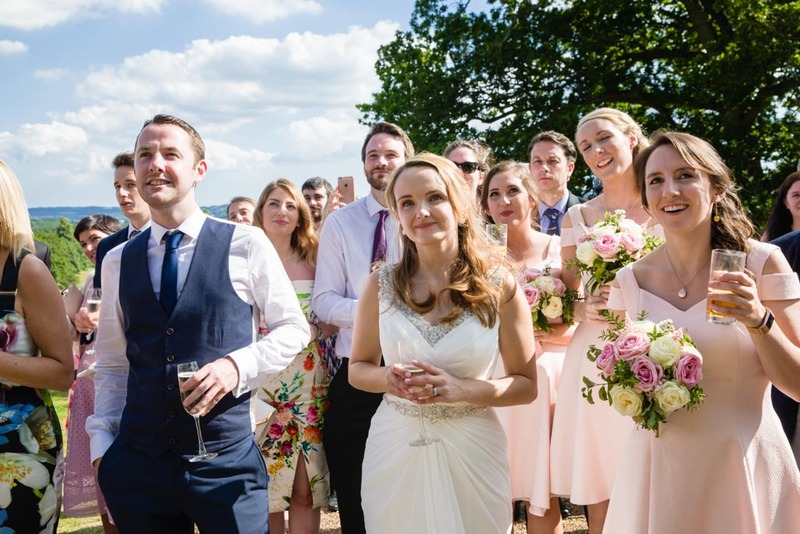 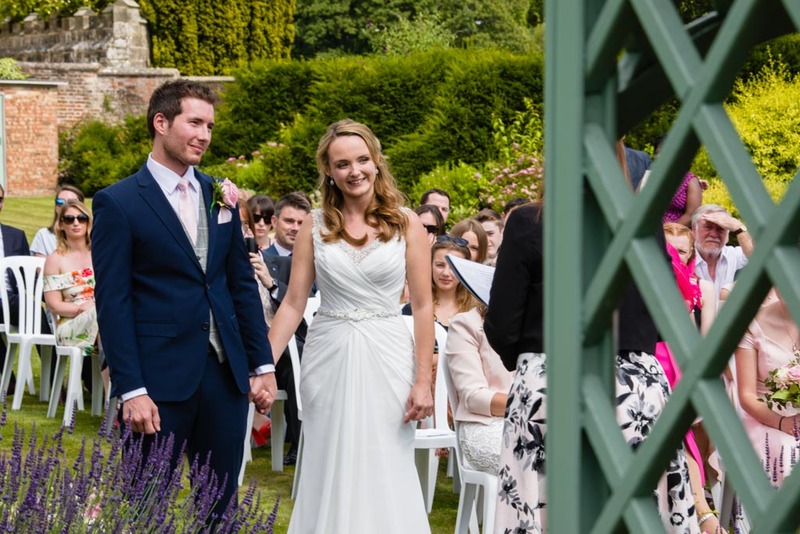 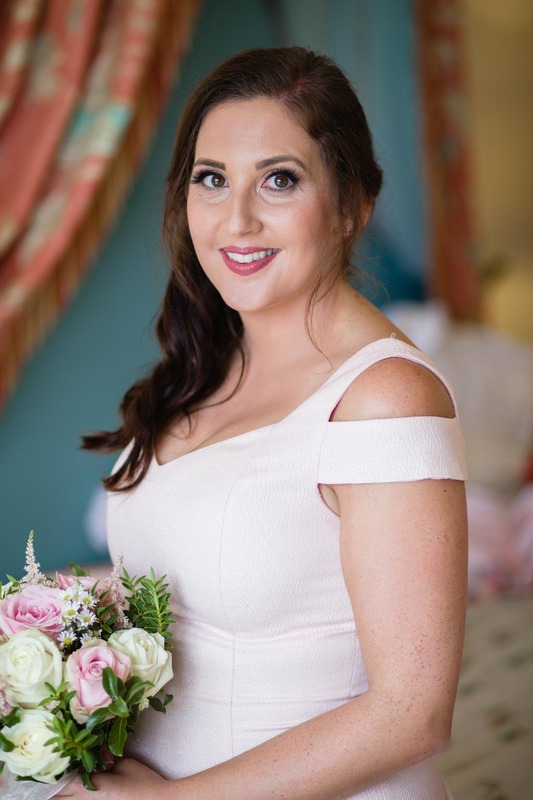 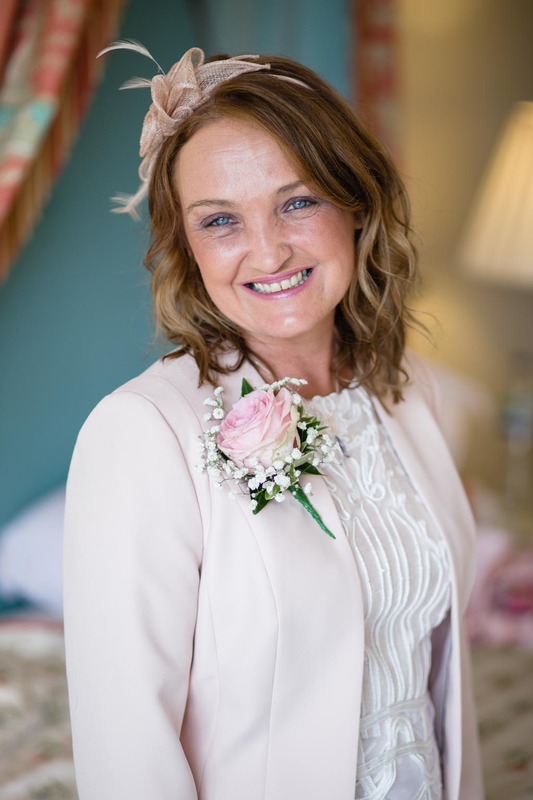 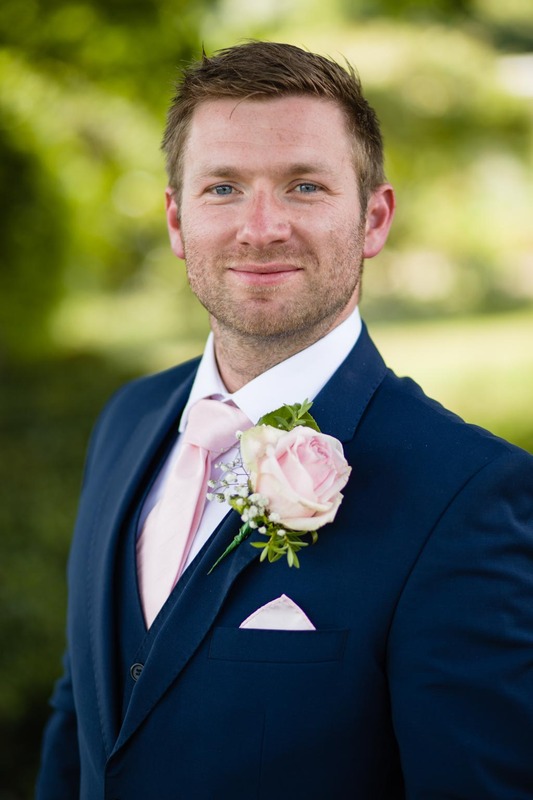 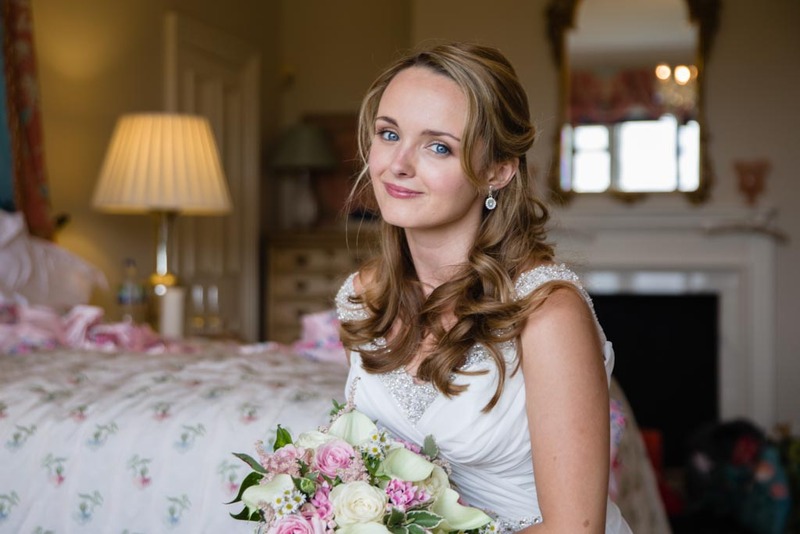 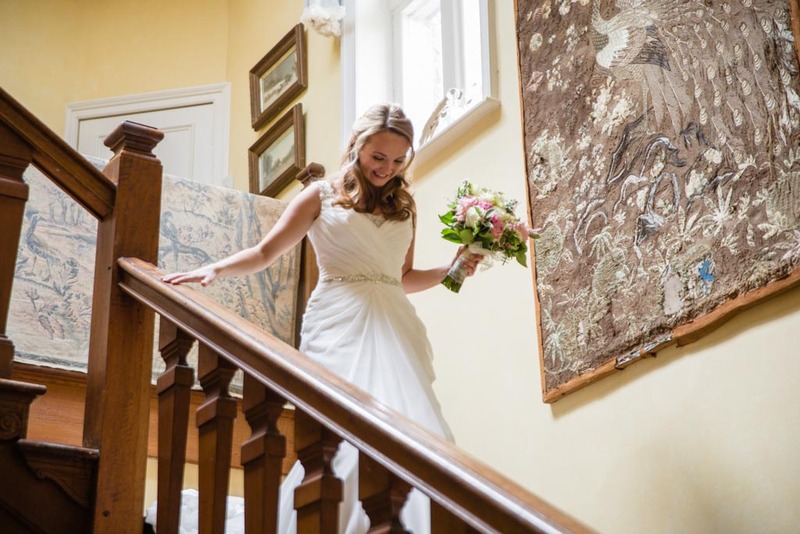 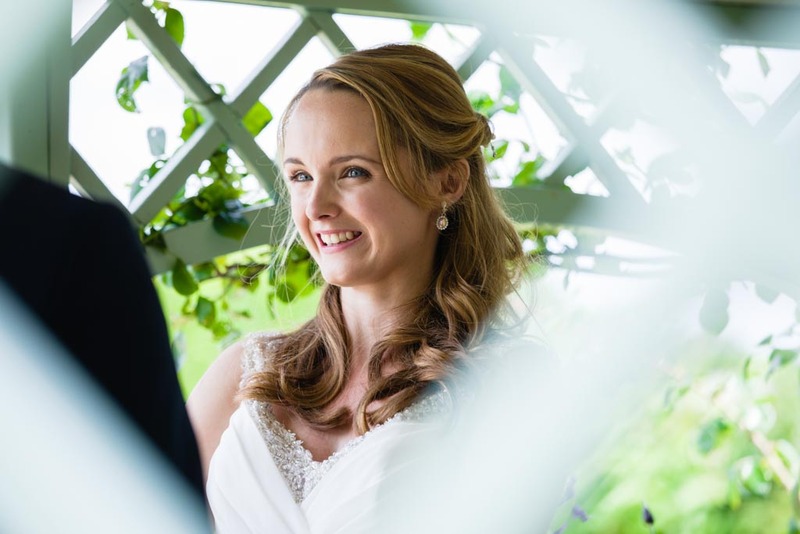 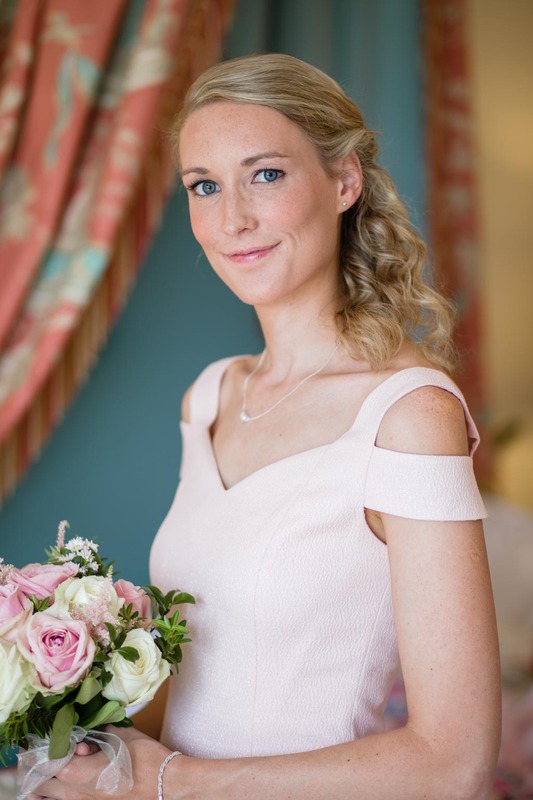 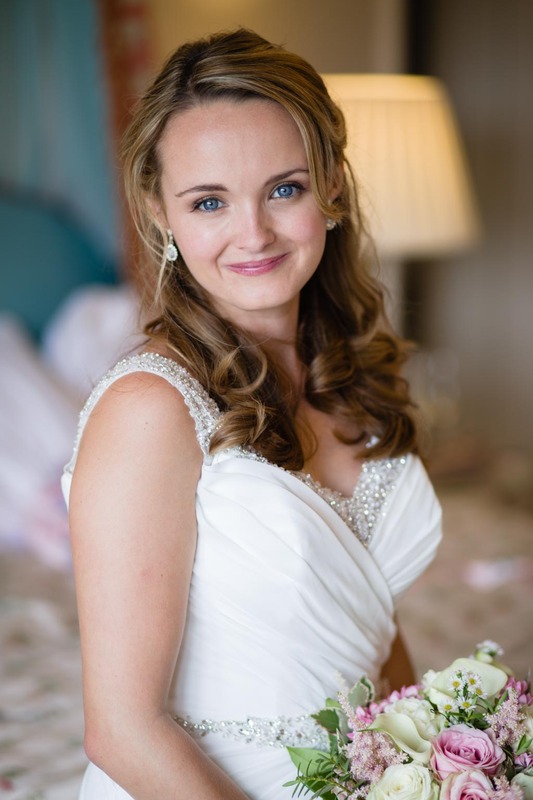 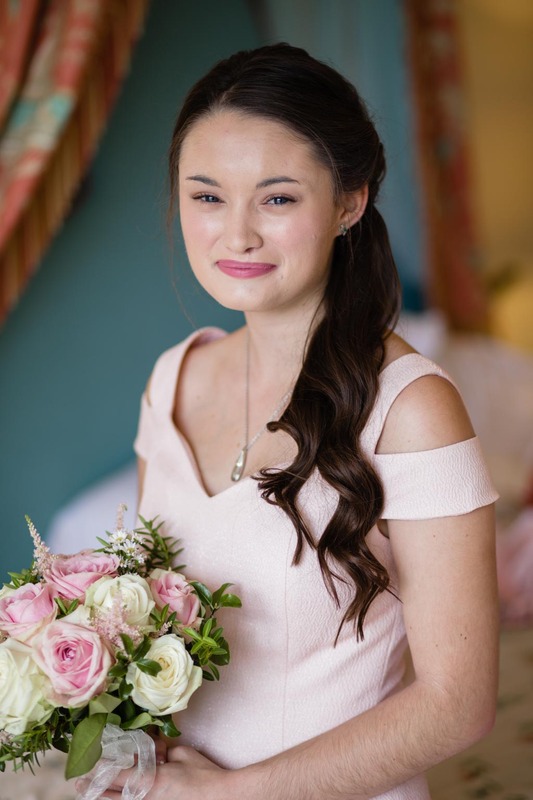 Sophie soon dressed in her floor length silk beaded georgette wedding gown and looked simply stunning with her her tousled into curls and a summer pastels bouquet in her hand…she was ready! 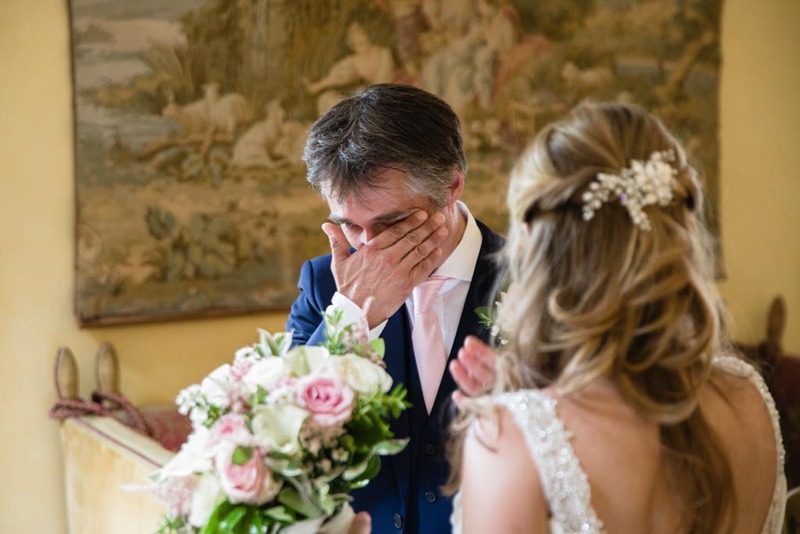 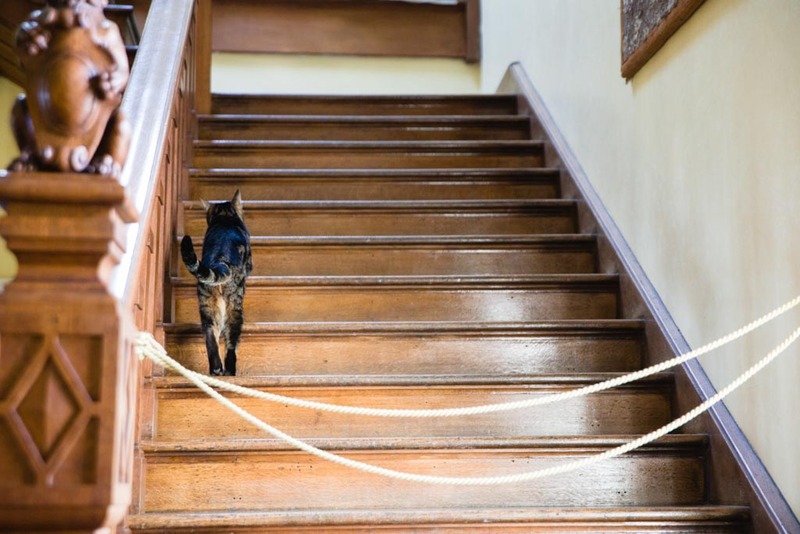 Cue her stair descent to her pretty emotional dad who waited for her at the bottom…super sweet moment! 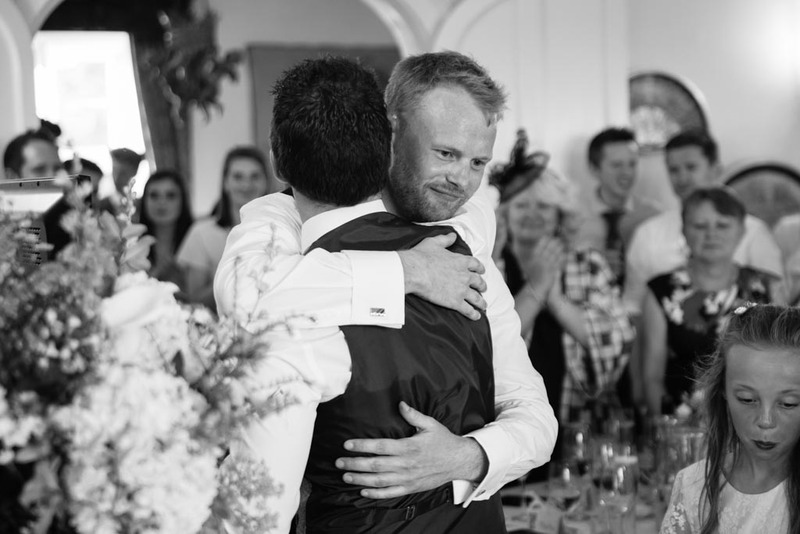 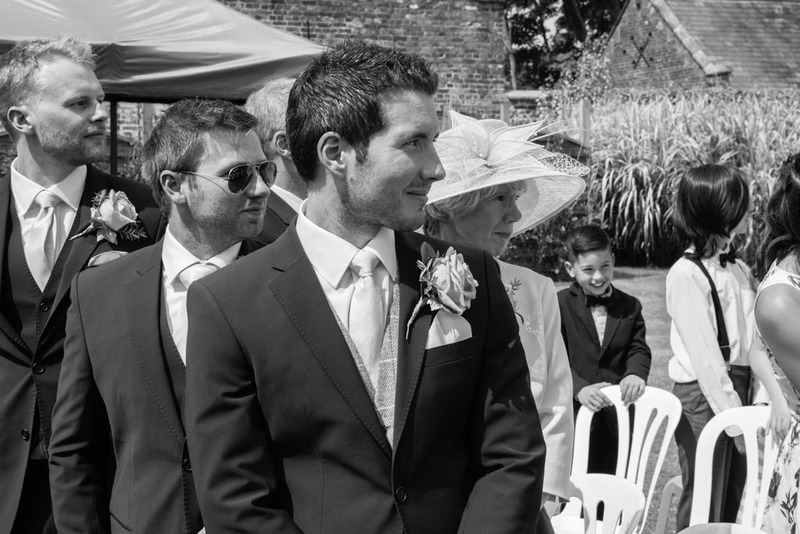 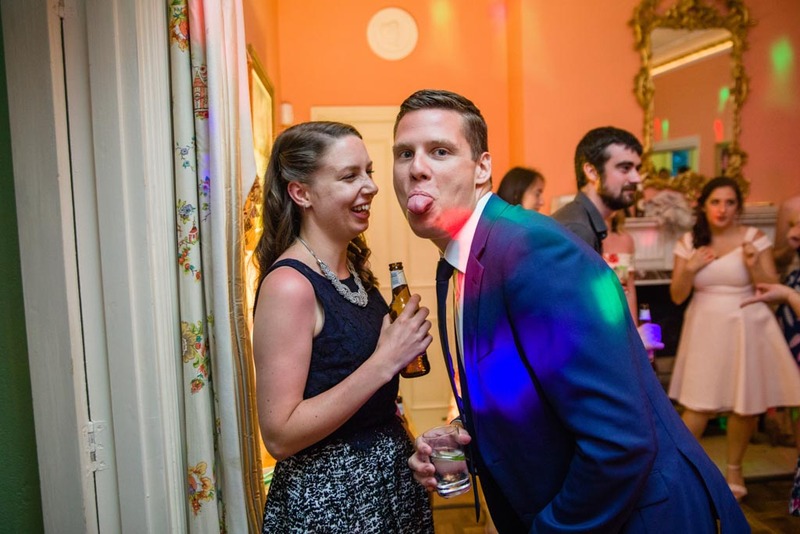 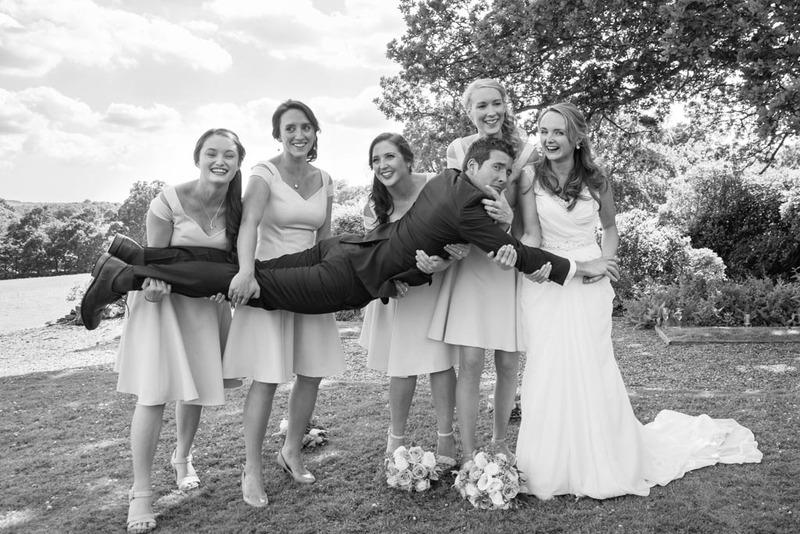 Joe and the couple’s guests sat within the walled garden as Sophie made her entrance on her dad’s arm. 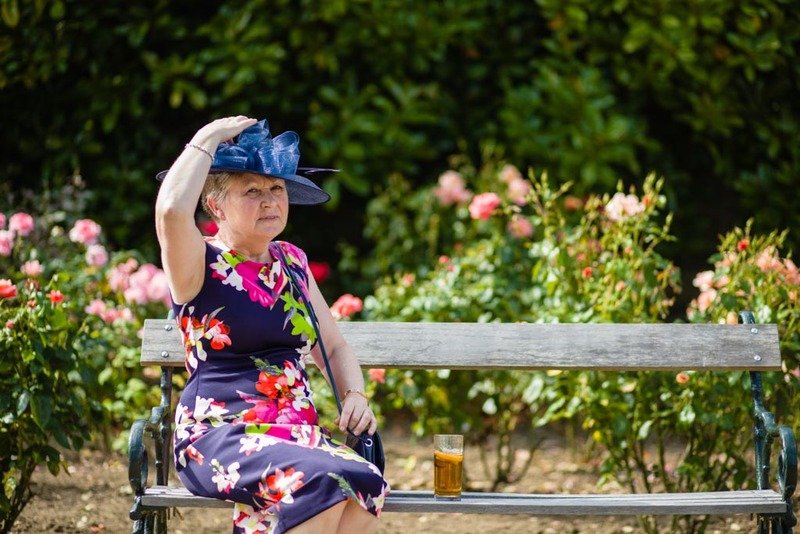 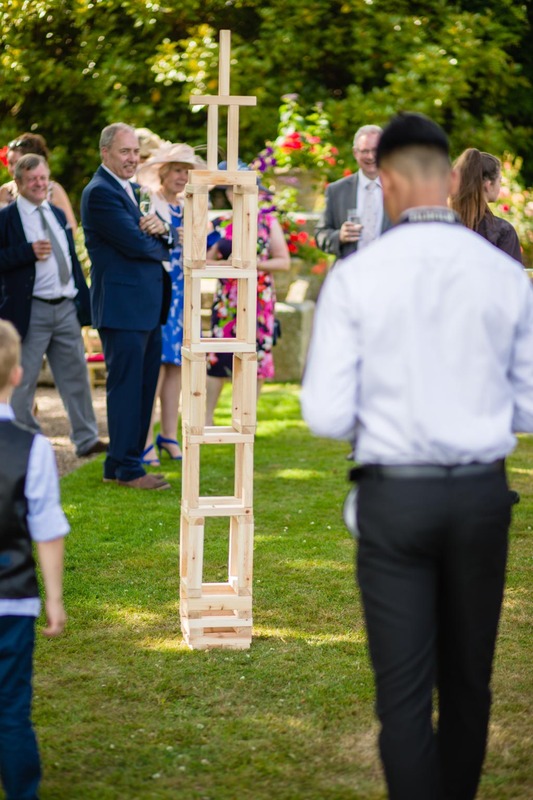 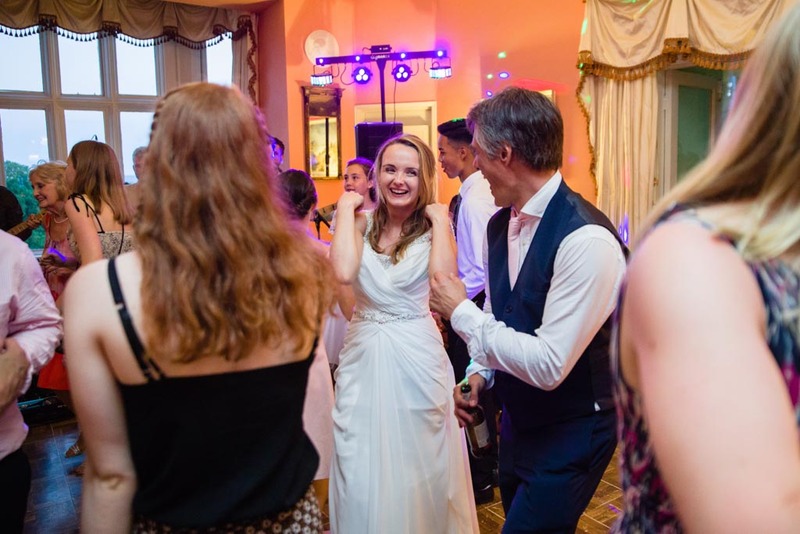 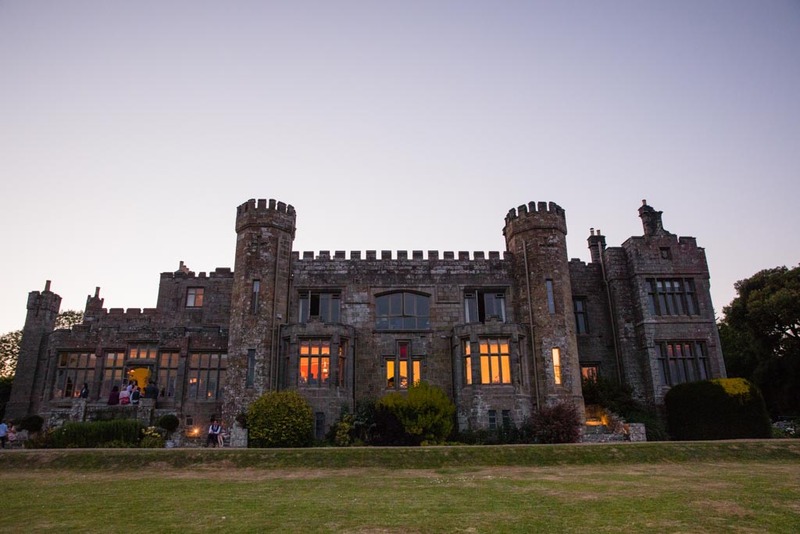 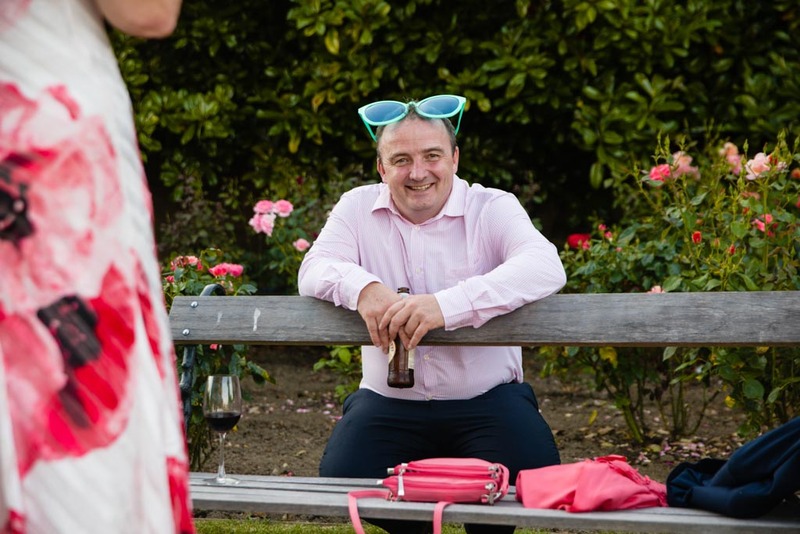 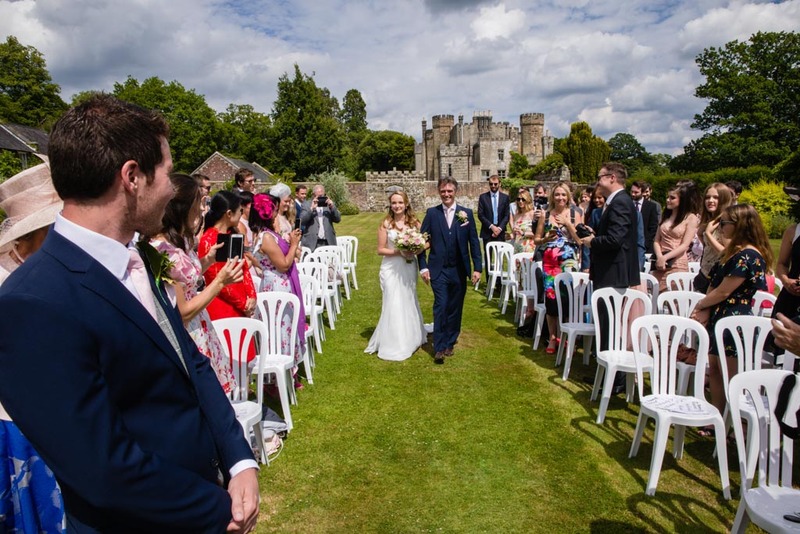 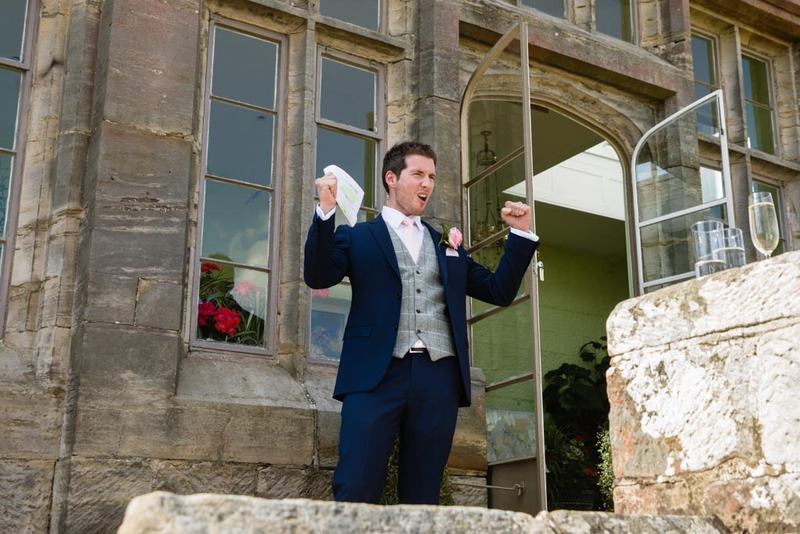 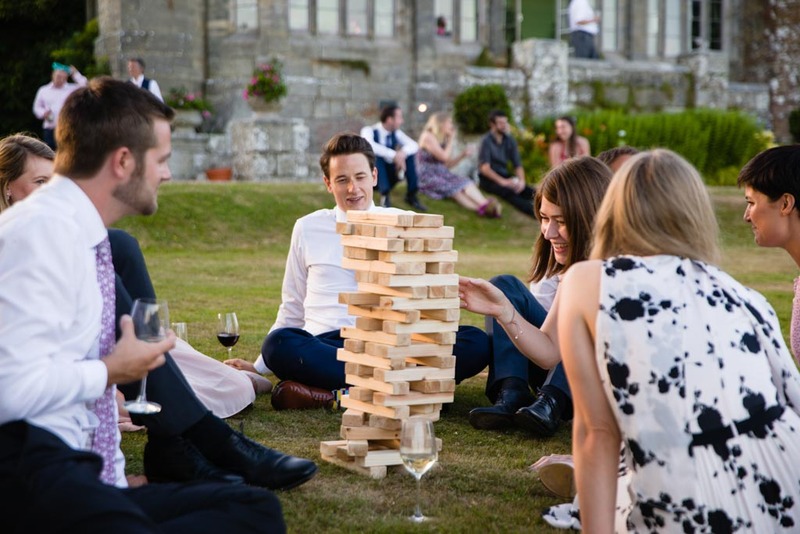 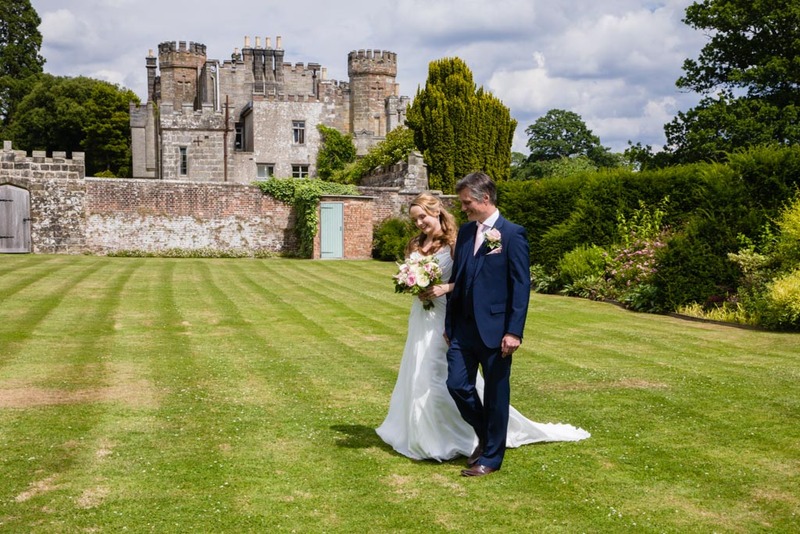 Guests were soon showering the couple with confetti and mingled across the castle’s lawns, taking in the views and playing lawn games…there was certainly some competition! 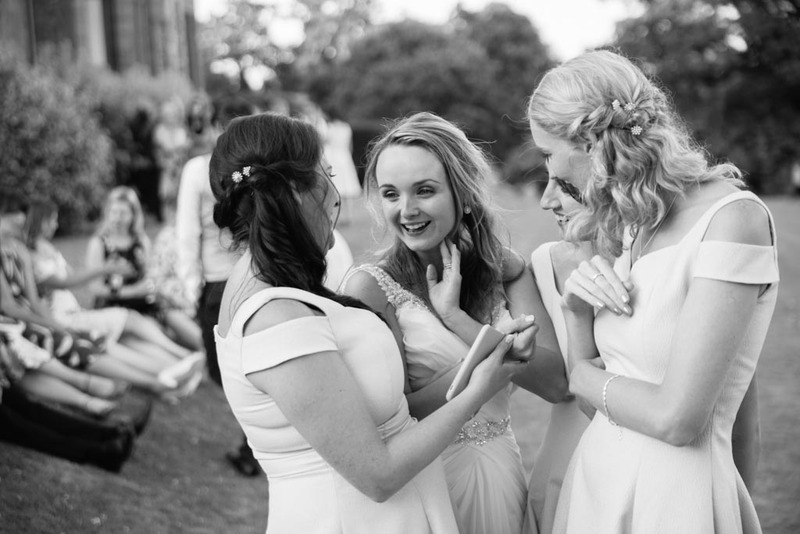 Stealing this lovely pair away for photos meant they could just have a little breathing space and time to take it all in together. 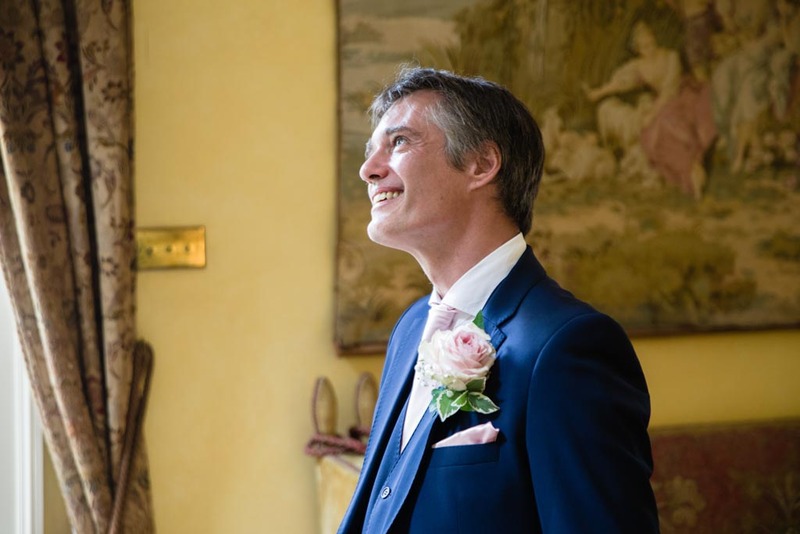 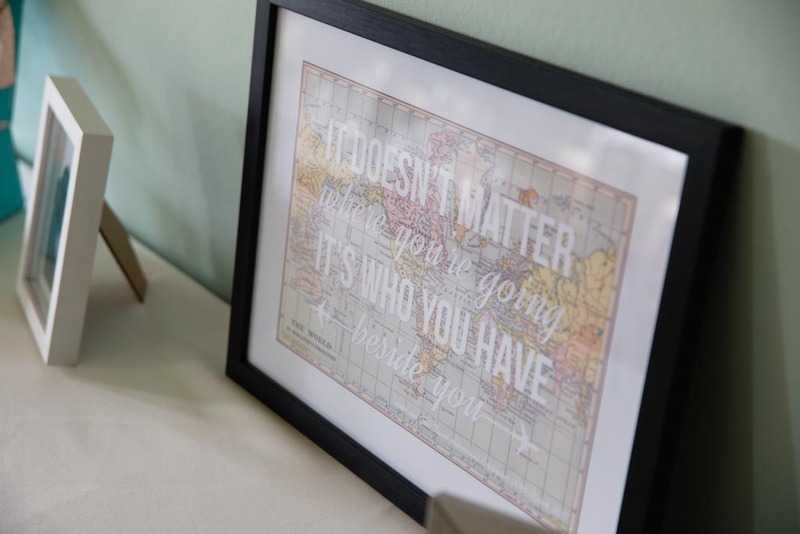 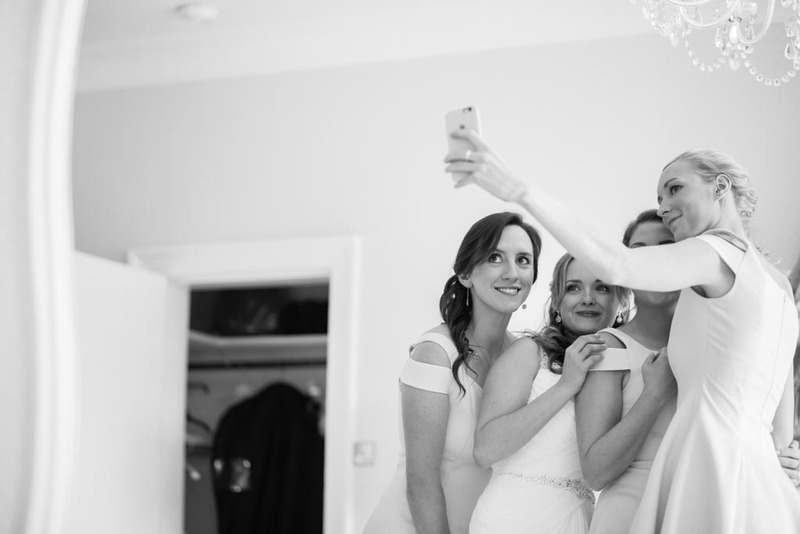 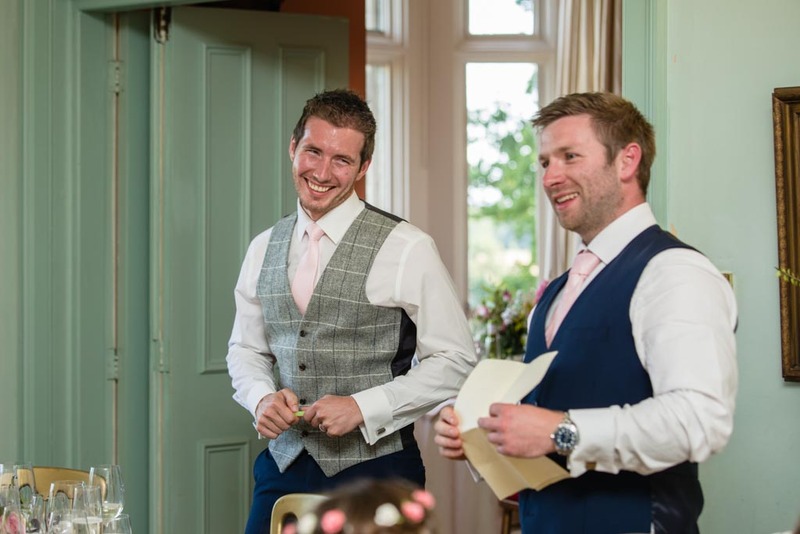 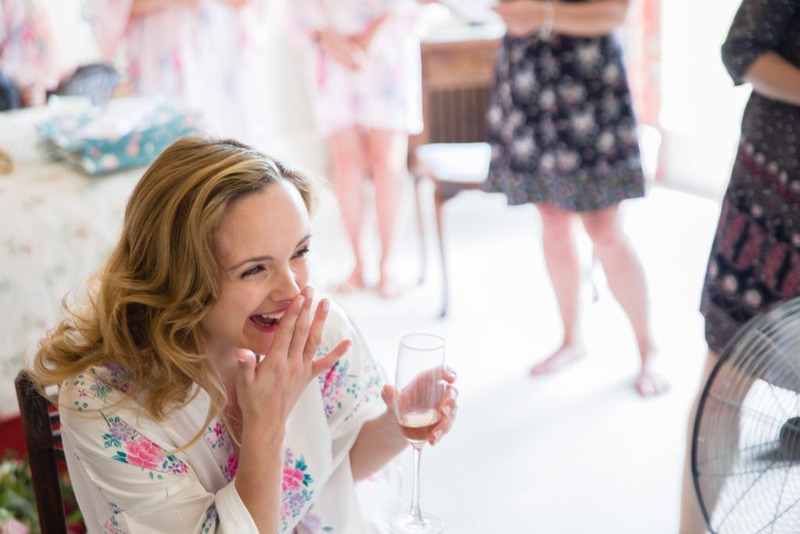 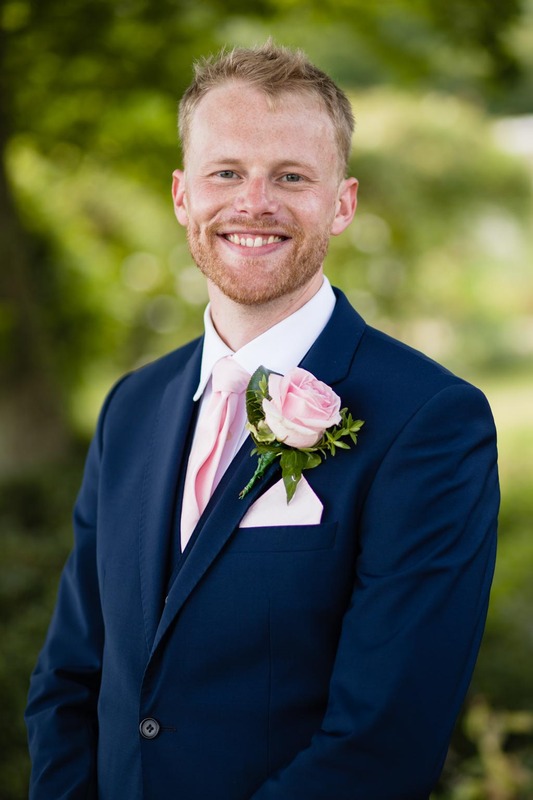 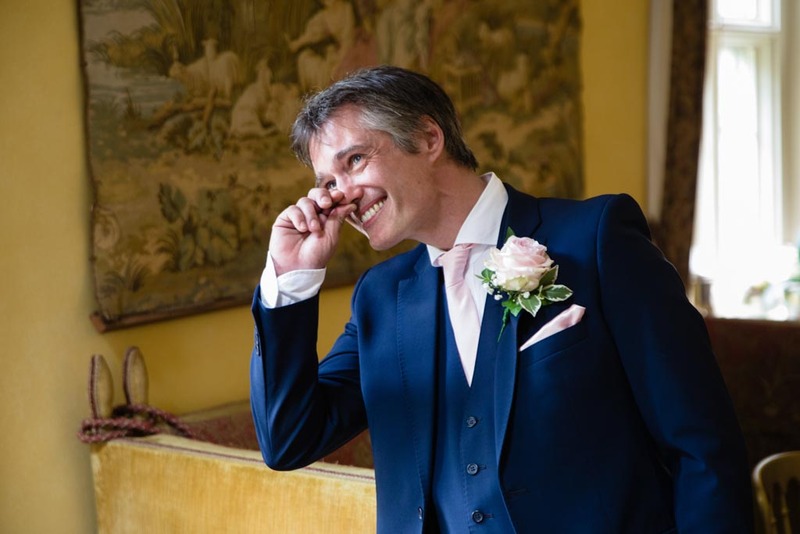 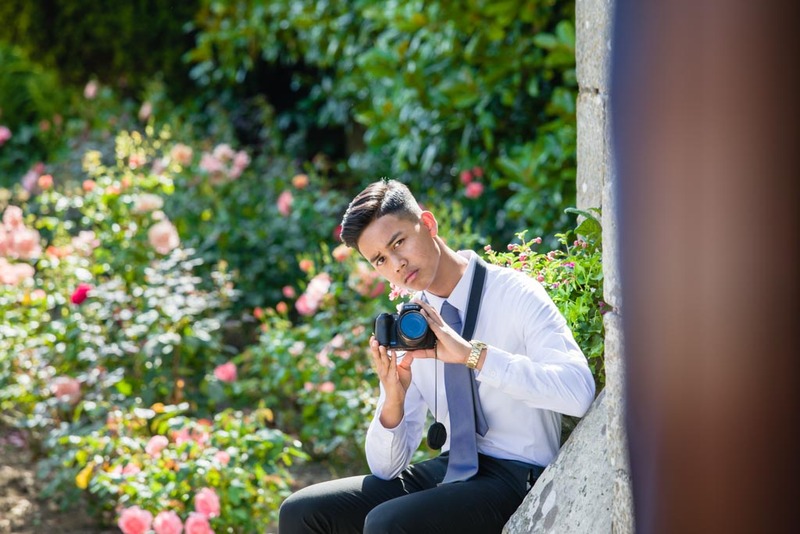 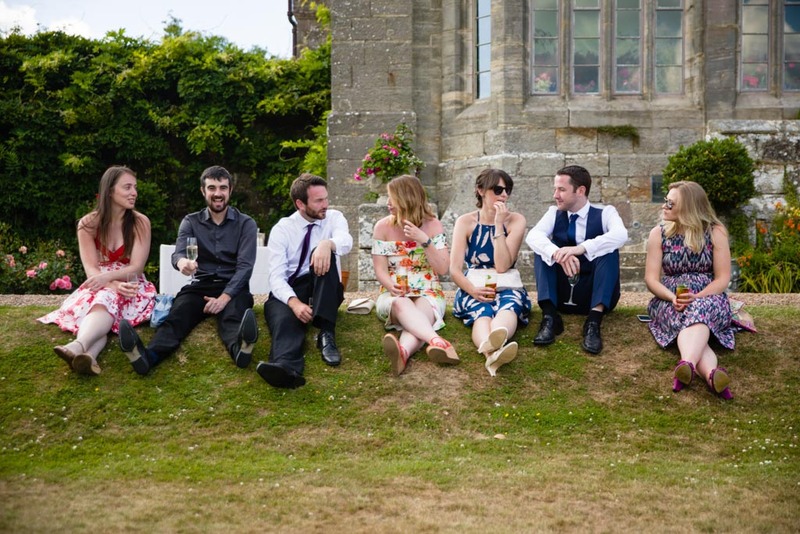 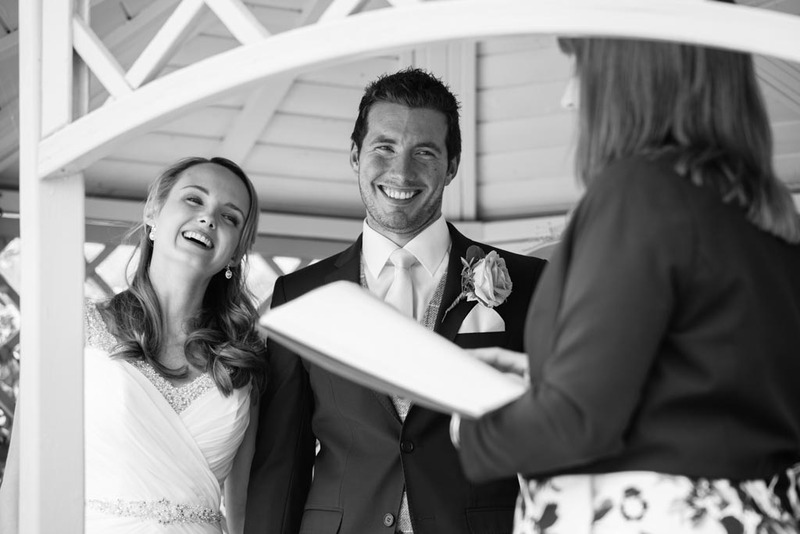 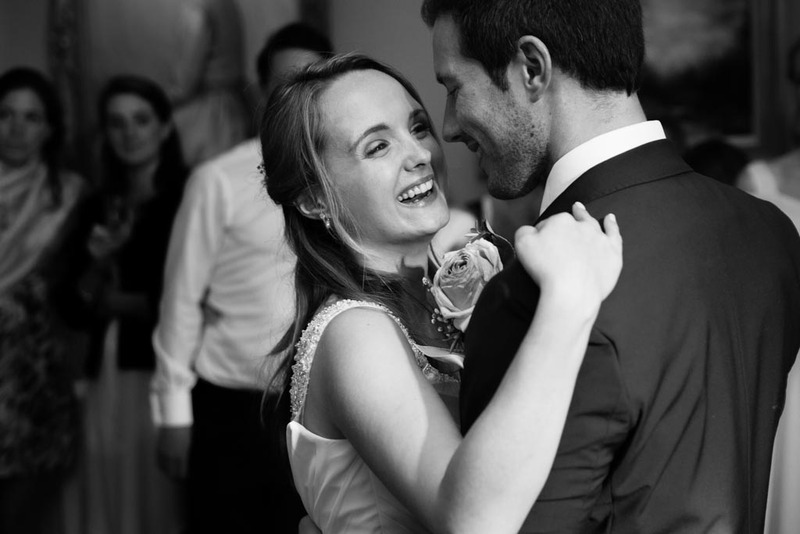 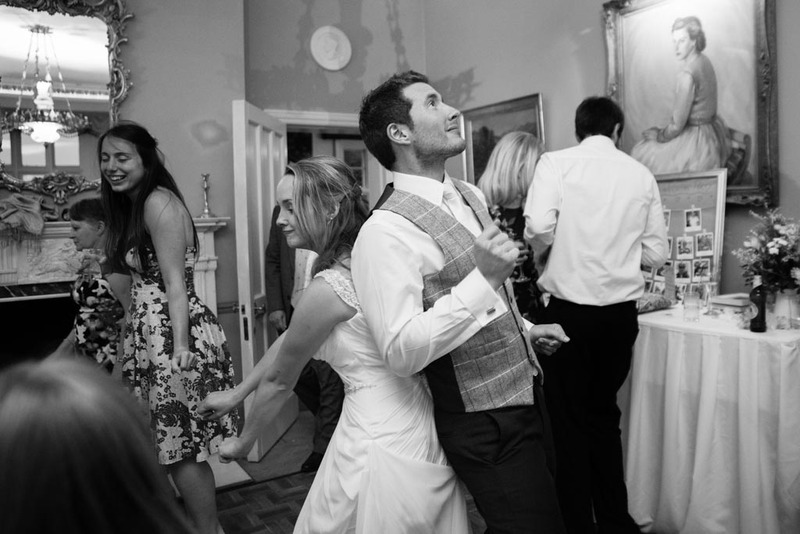 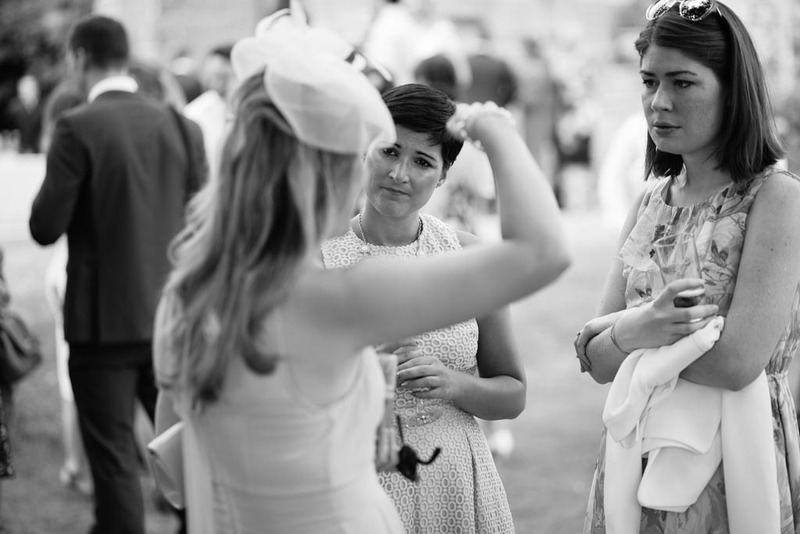 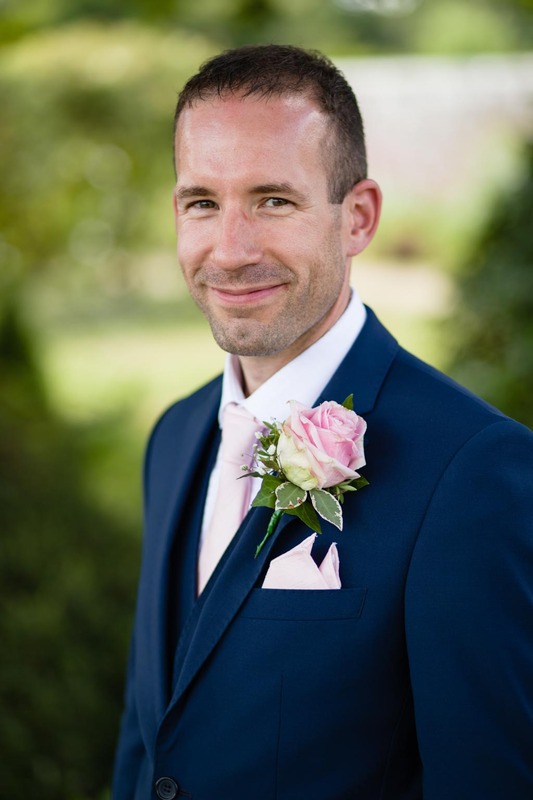 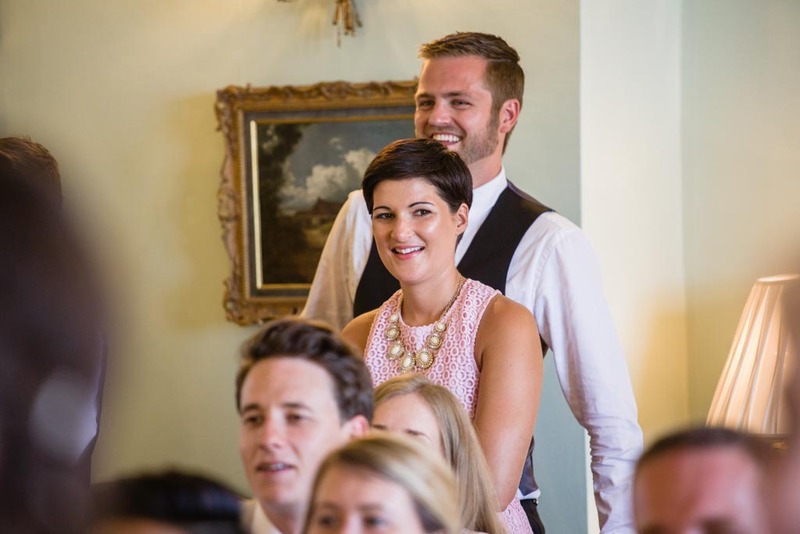 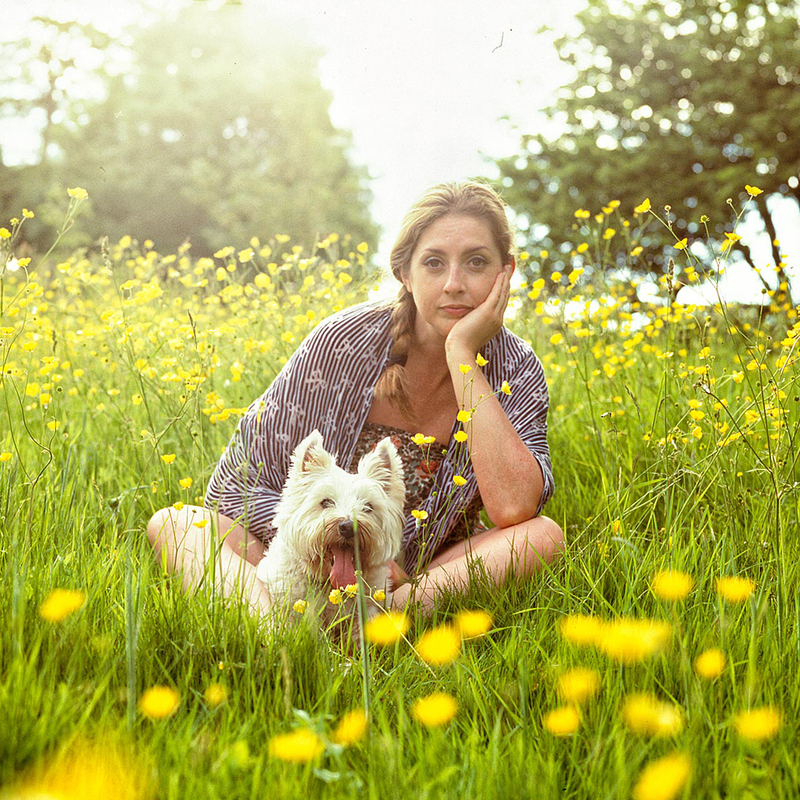 I encourage my client’s to really take this as ‘you time’ as it’s so easy to drift away from each other in the guest mingling, so it’s a really lovely time to take it all in together whilst I take those natural shots, the moments and giggles. 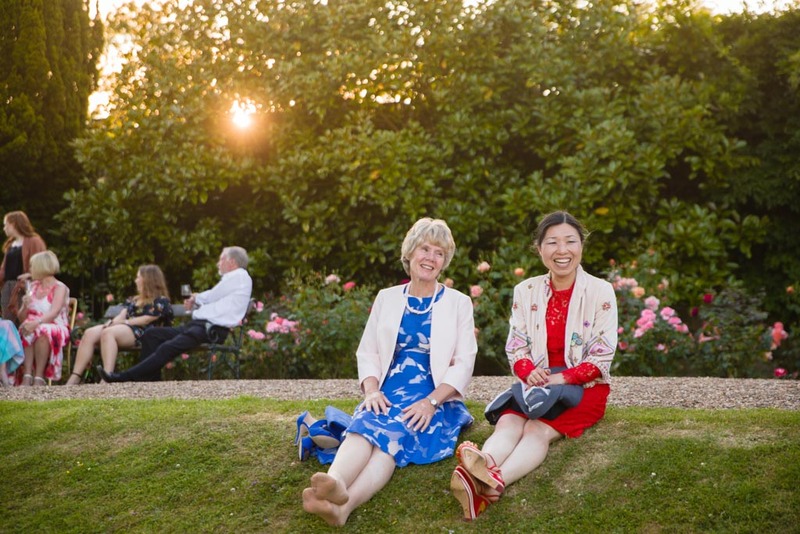 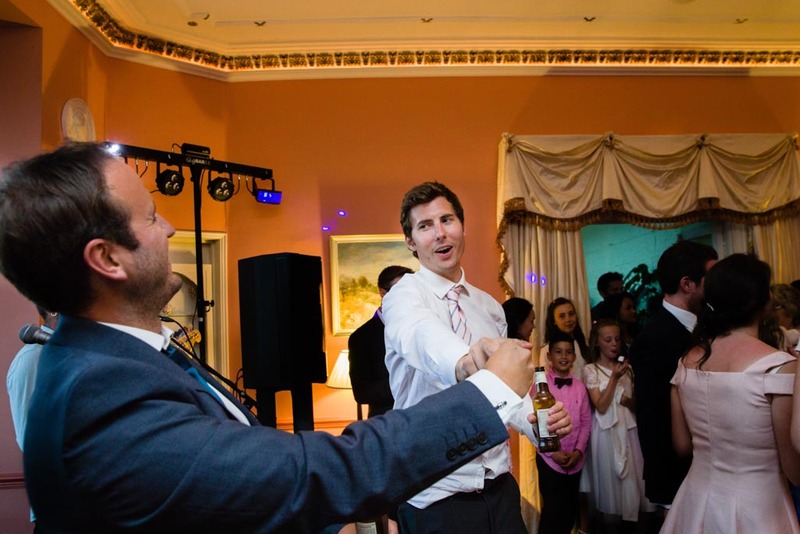 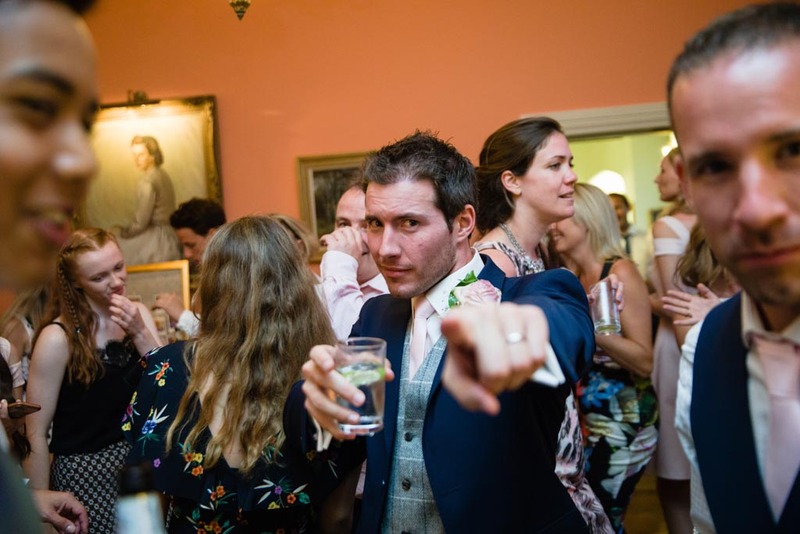 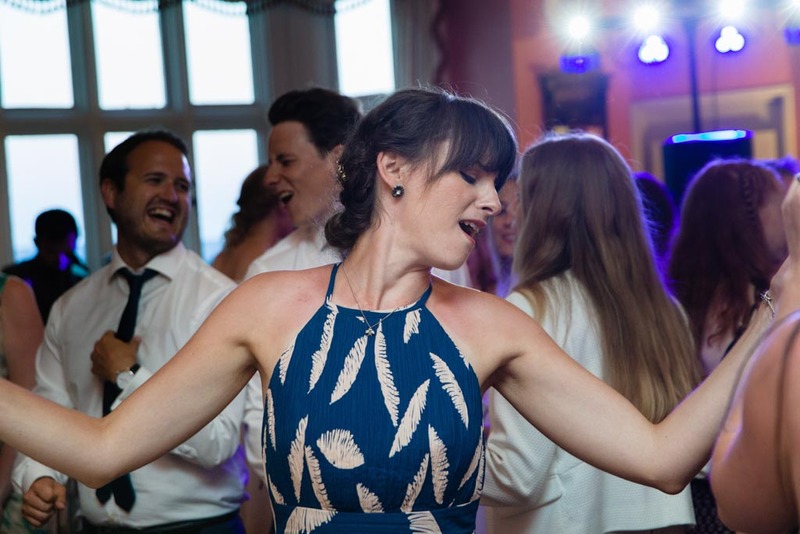 After a sumptuous dinner in the Drawing Room and heartfelt speeches, guests took drinks out on the terraces to make the most of the summer evening air before the beat of the drum and strum of a guitar cued them all for the all important shape throwing on the dance floor! 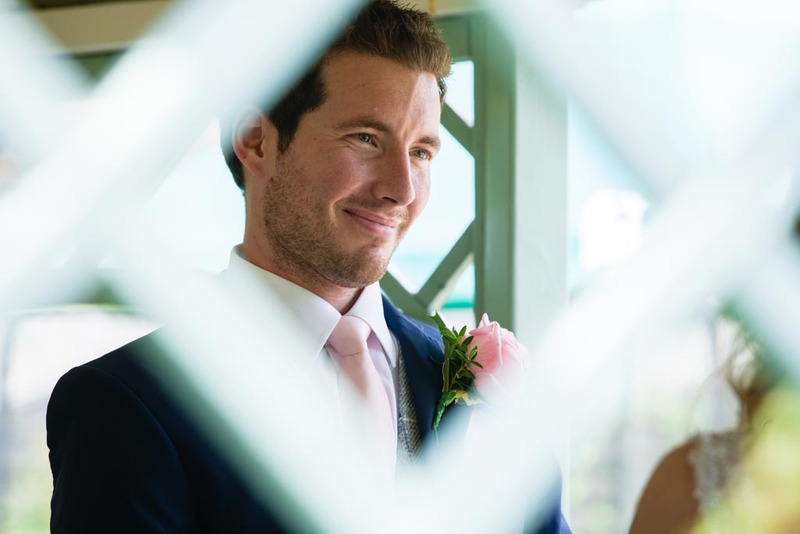 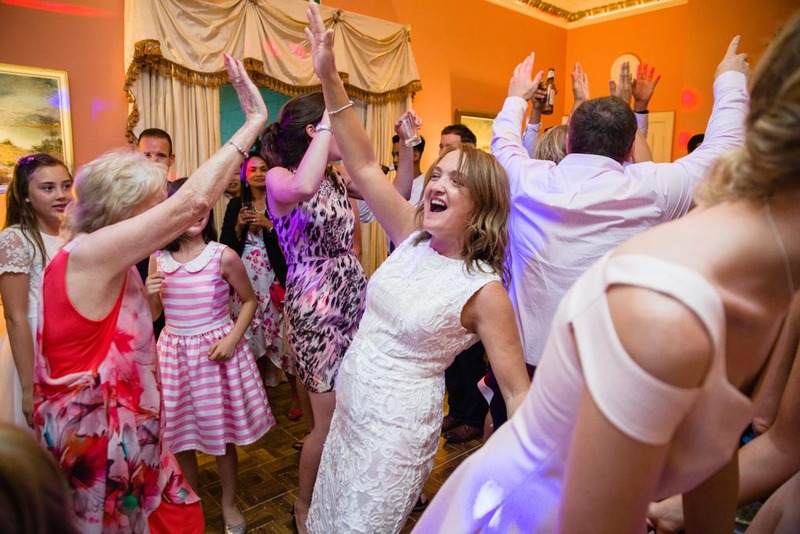 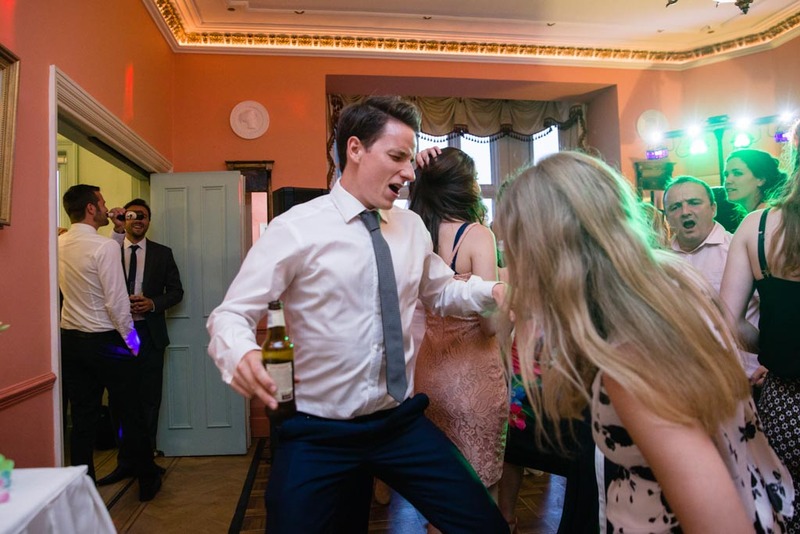 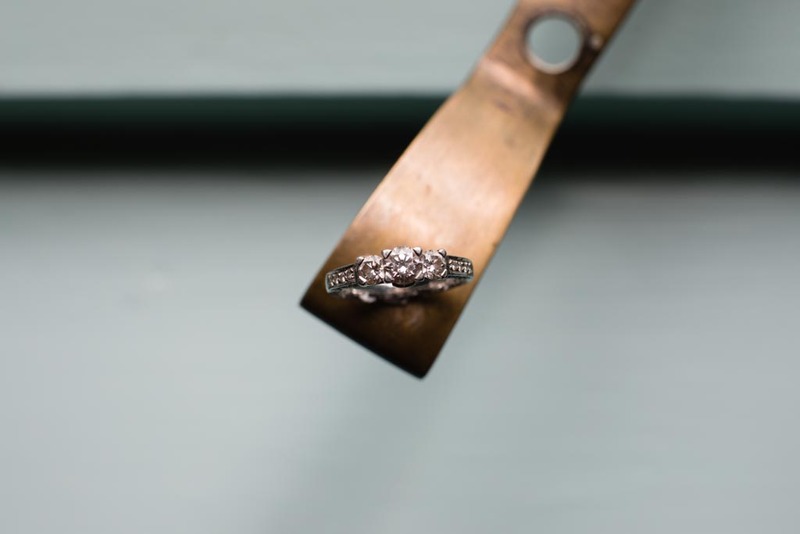 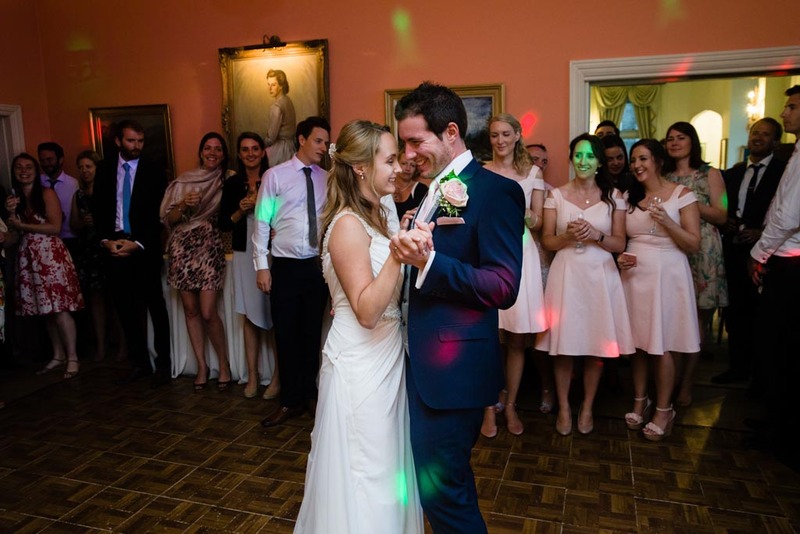 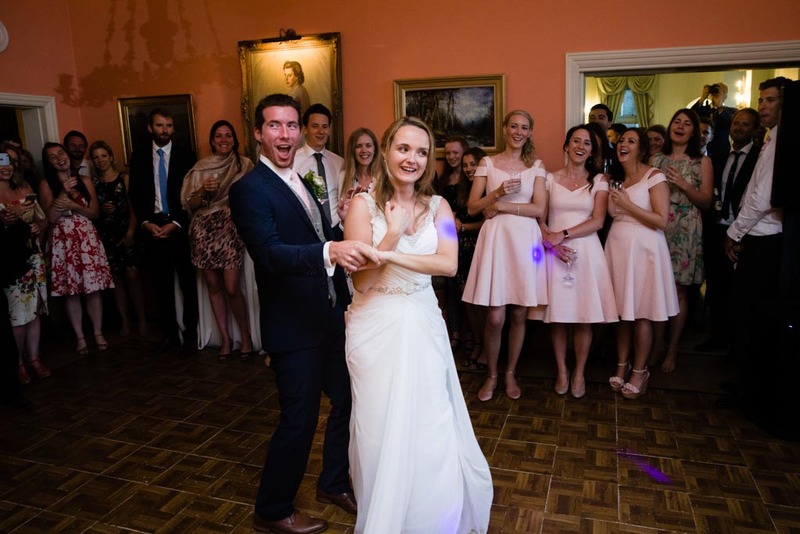 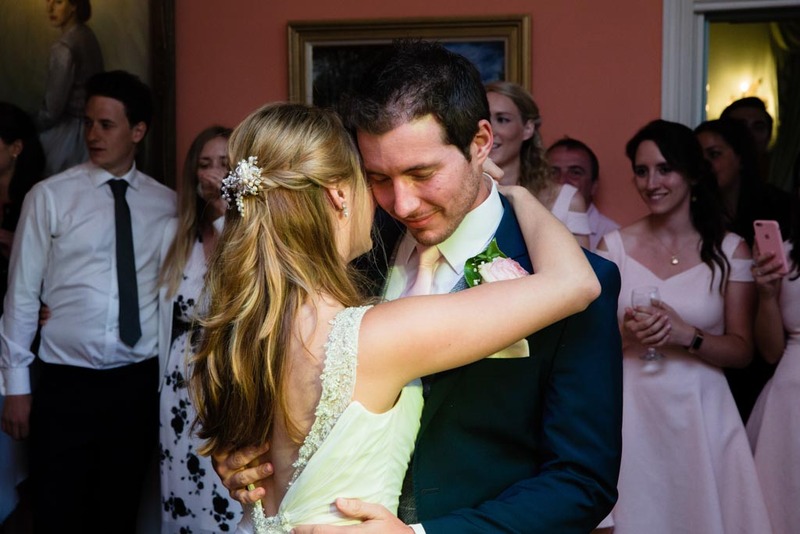 Sophie and Joe’s wedding made me beam all day…a simple, relaxed and fun summer party to celebrate just how much these two love each other…gorgeous!